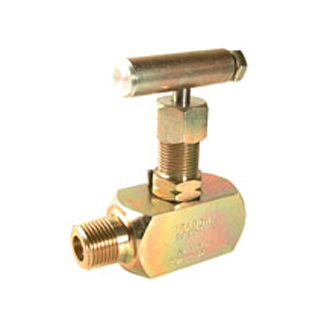 BRANDS WE CARRY – Fitting Source Inc.
Alco the world Leading Valve Manufacturer, Alco factories and facilities are built for the express purpose of designing, testing, manufacturing and marketing high integrity valves, manifold, piping interface solutions and accessories for industrial use Worldwide. 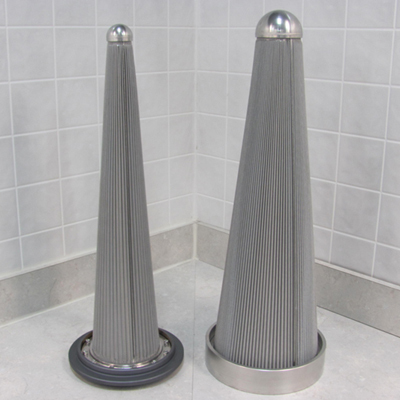 Alco facilities are constantly benefiting from regular capital investments. 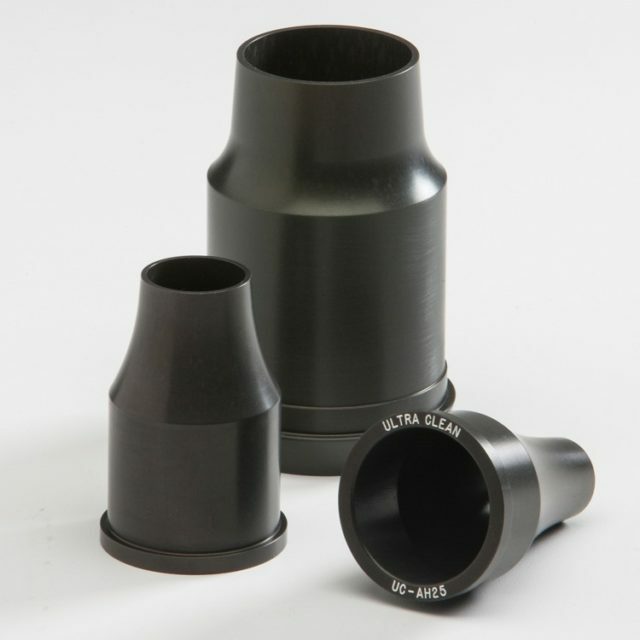 This ensures that Alco is able to manufacture it’s products using cutting edge technology, and up-to-date, internationally recognized engineering methods in the production processes and quality assurance program. 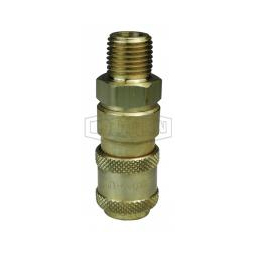 The Fitting Source is Proud to be part of the ALCO Families of re-sellers. 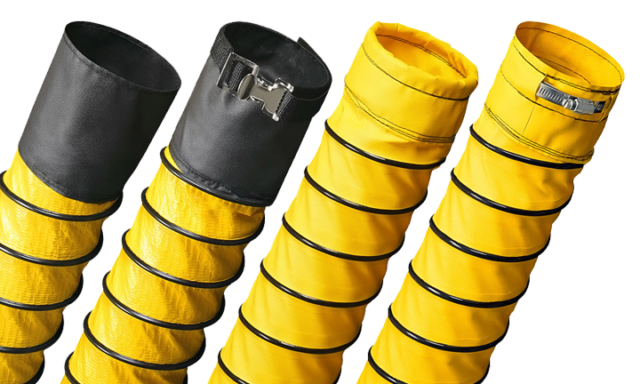 As we’ve expanded our offering to 50,000 different styles and sizes, we’ve also grown our distribution to meet the demands of our customers. 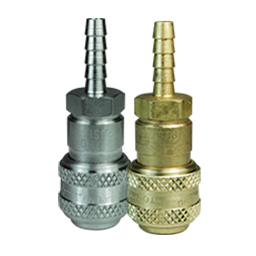 This growth in both our best-in-class products and distributors is our response to the growing needs of customers like you. 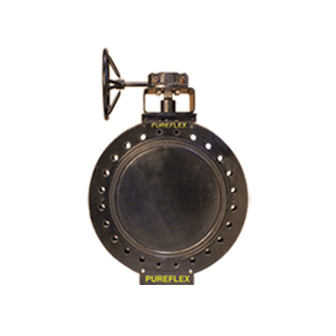 We listen to what you want and we deliver. 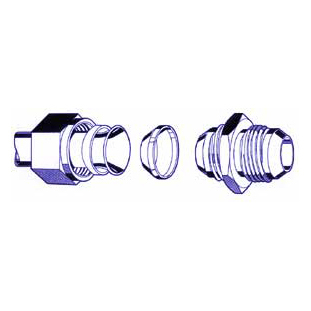 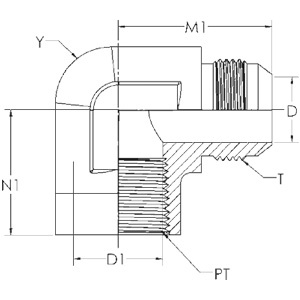 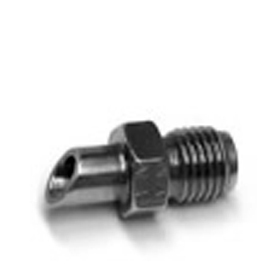 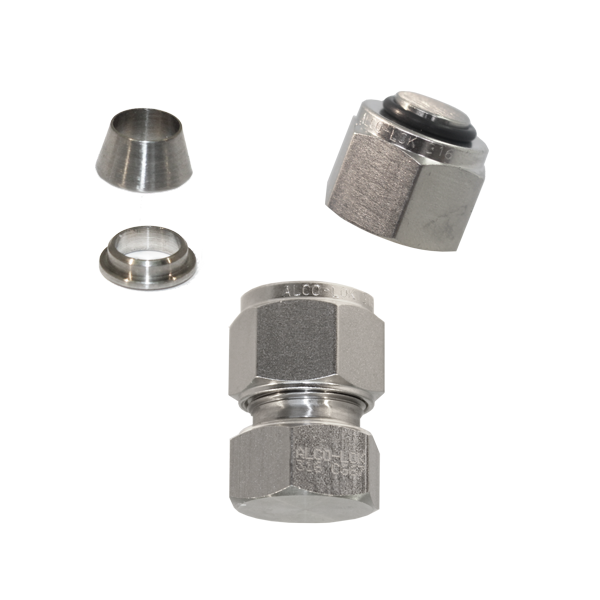 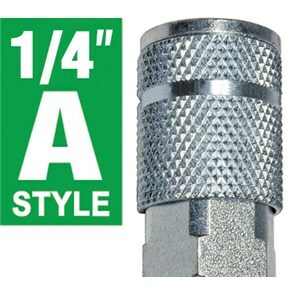 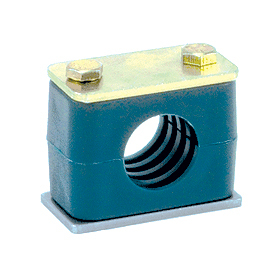 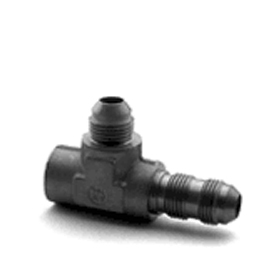 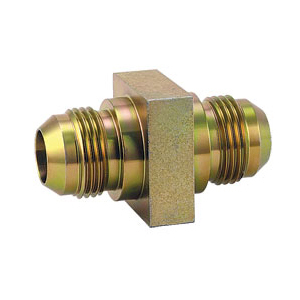 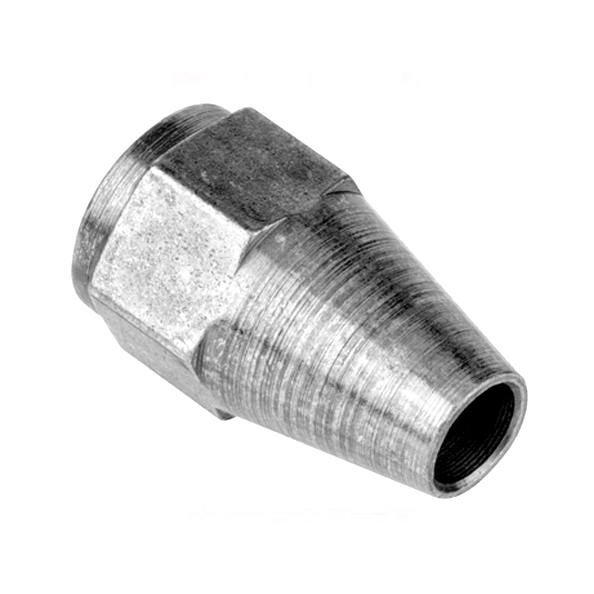 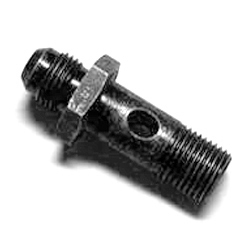 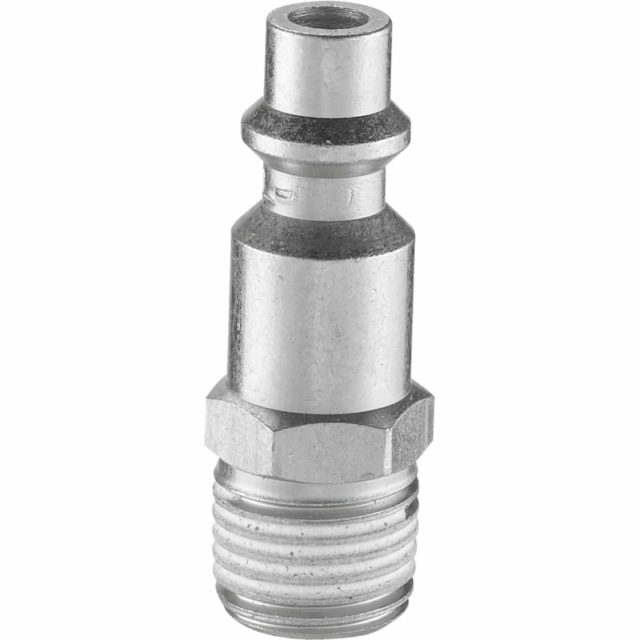 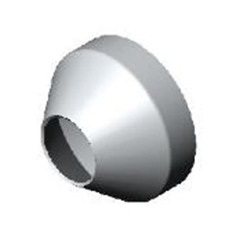 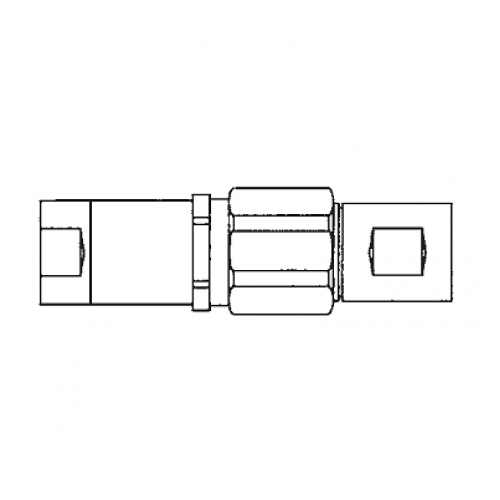 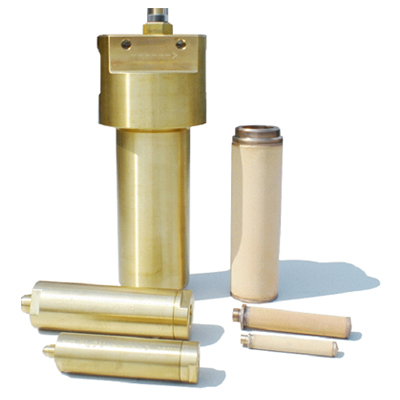 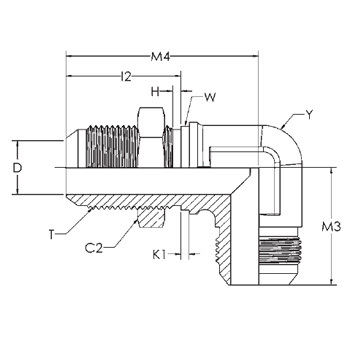 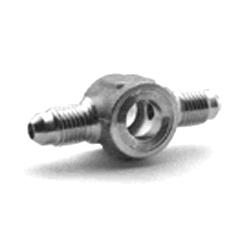 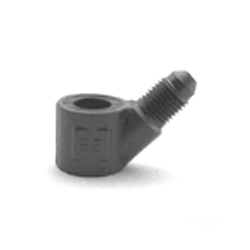 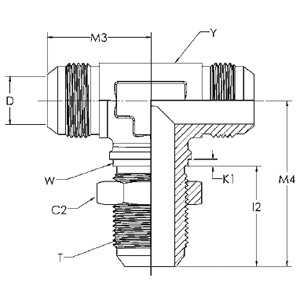 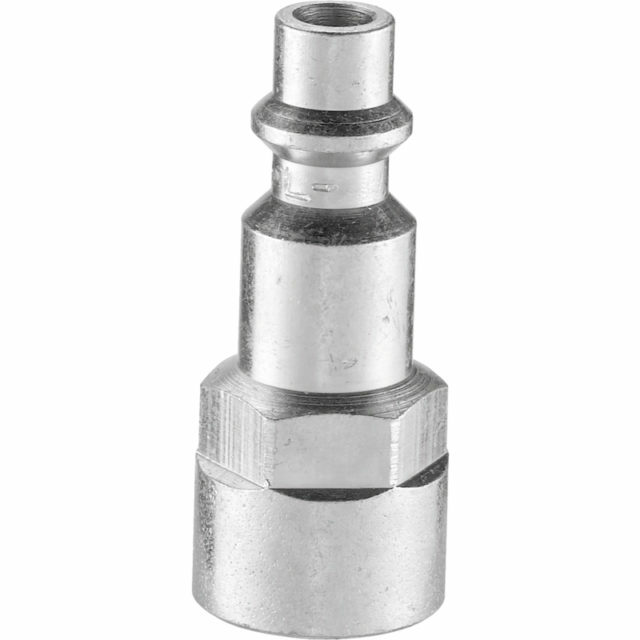 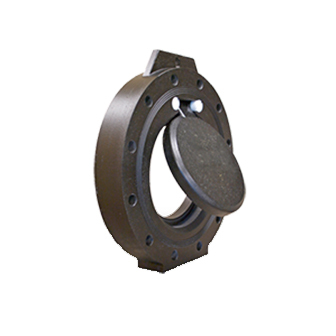 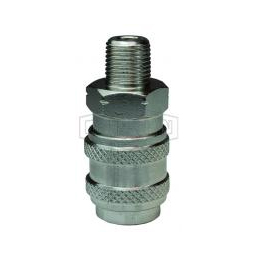 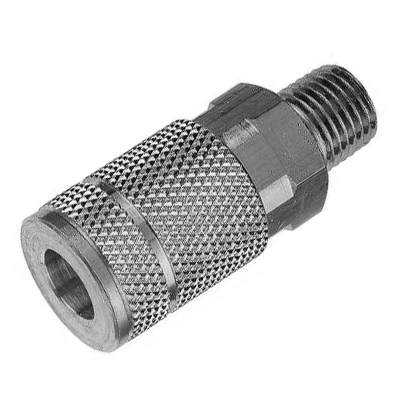 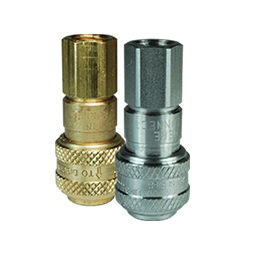 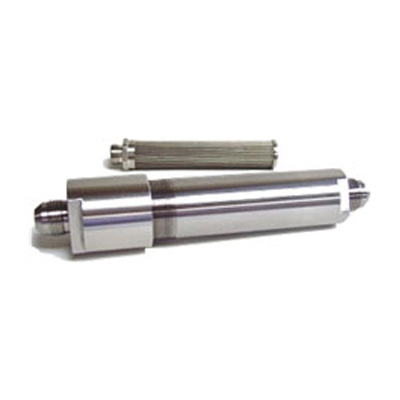 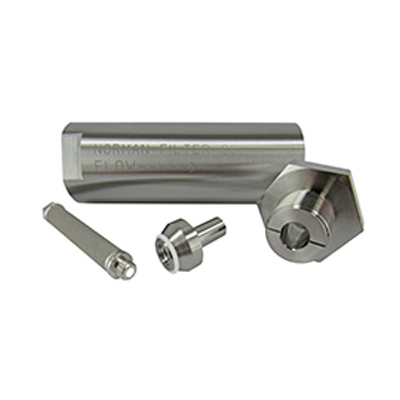 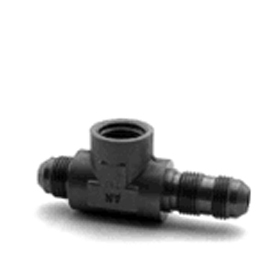 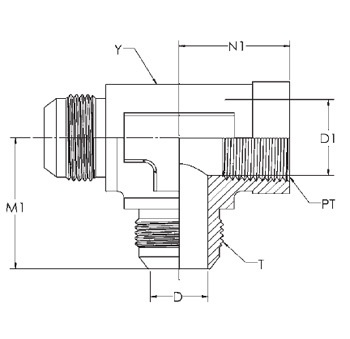 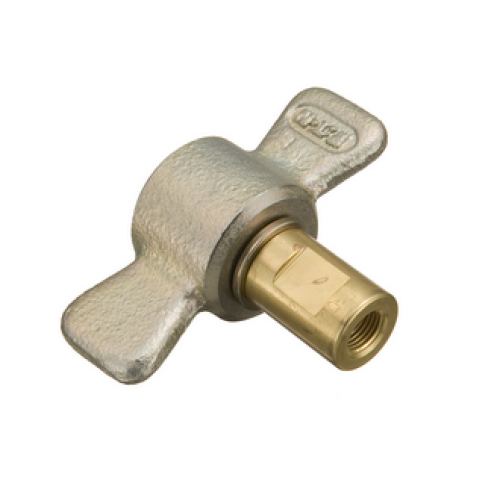 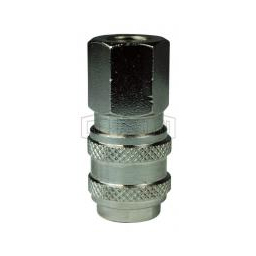 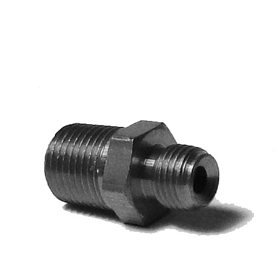 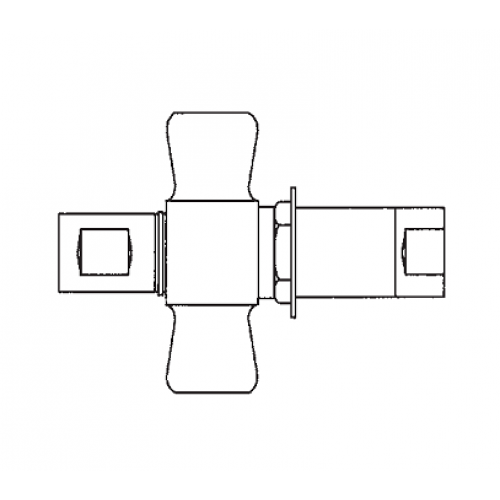 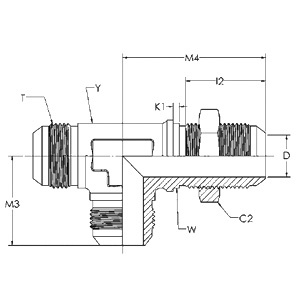 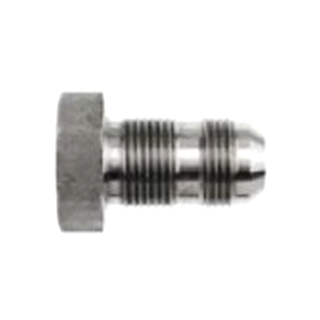 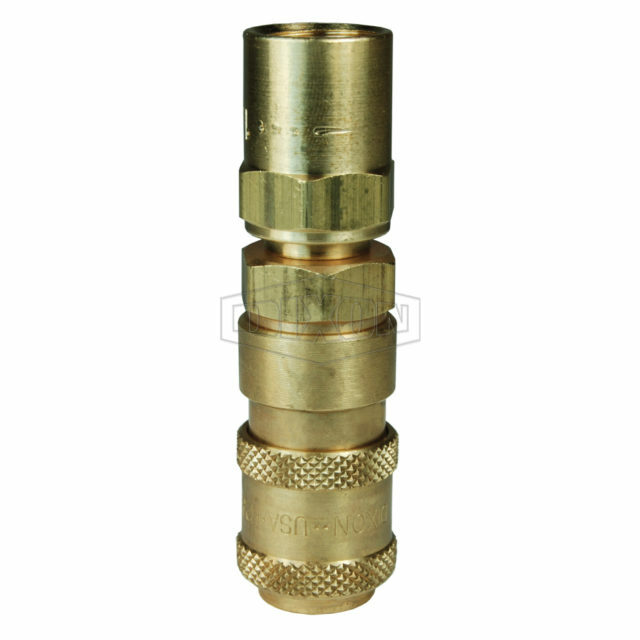 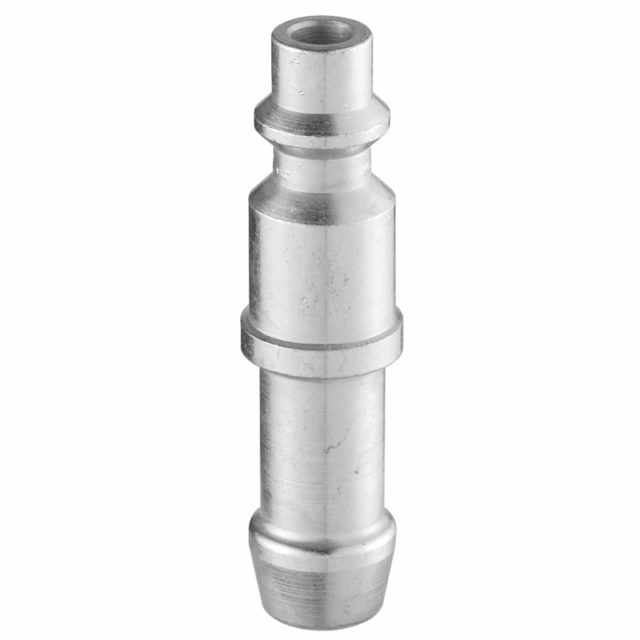 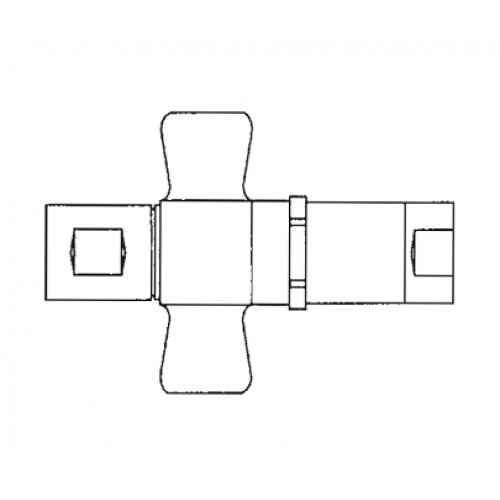 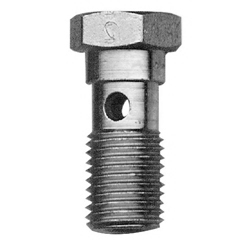 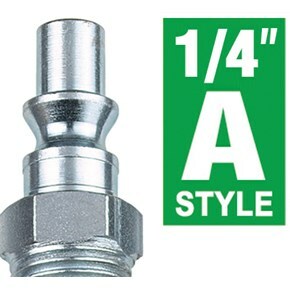 All Brennan fittings are manufactured to the highest standards, meeting or exceeding J.I.C./S.A.E. 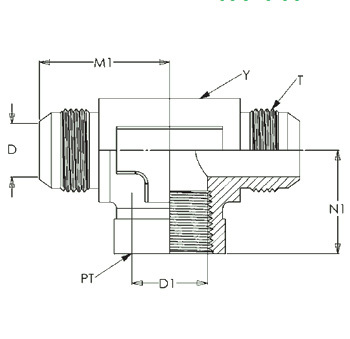 and international specifications. 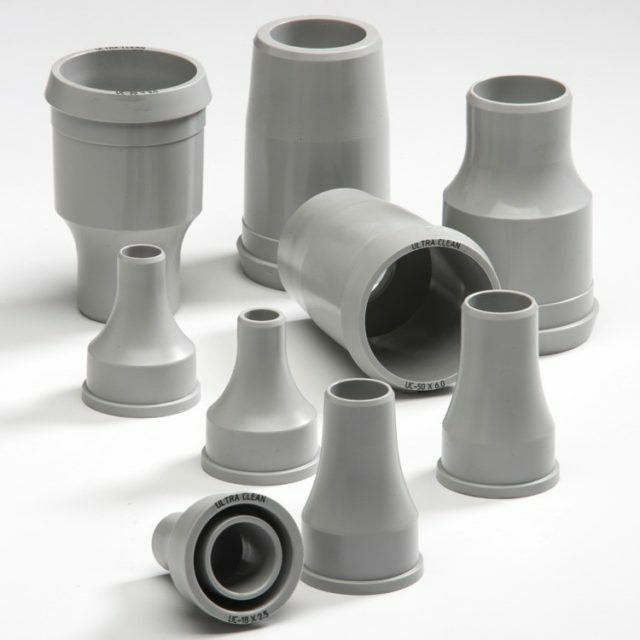 We control our own manufacturing both domestically and overseas, so if you’re in need of a custom solution the engineering team can help with anything from altering a standard to developing a prototype. 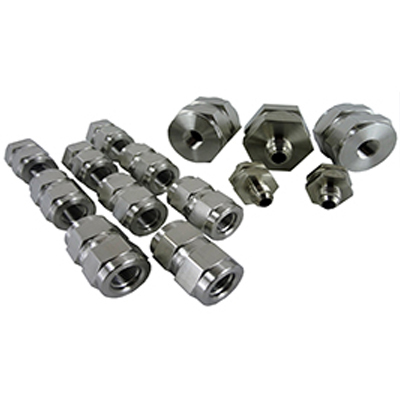 This also means controlled quality, as an ISO 9001:2008, AS9100C and NADACAP certified company, Brennan adheres to the most stringent quality control practices, assuring exceptional products. 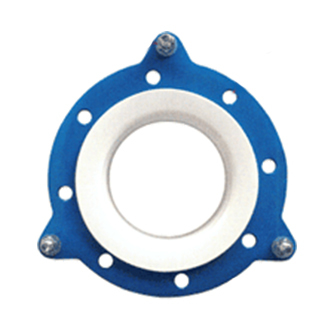 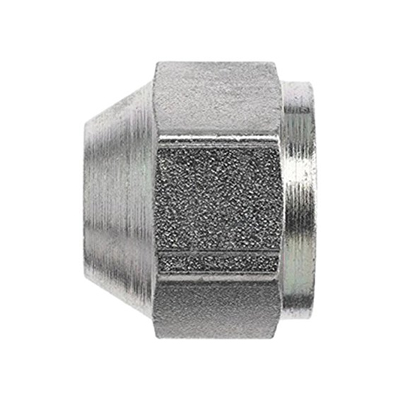 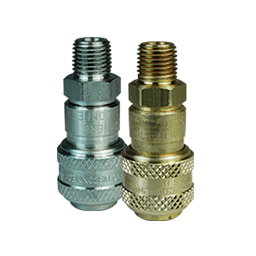 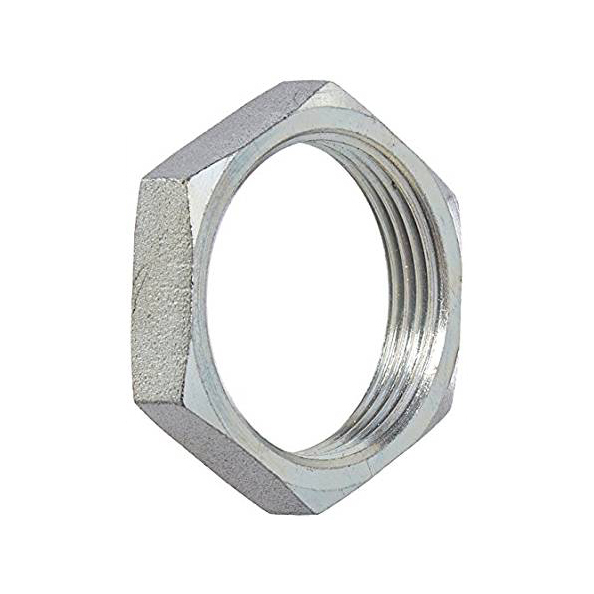 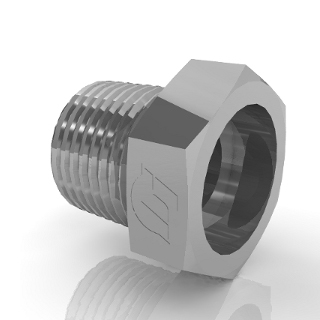 The design and durability of each fitting assure long-lasting service, even in corrosive and abusive environments. 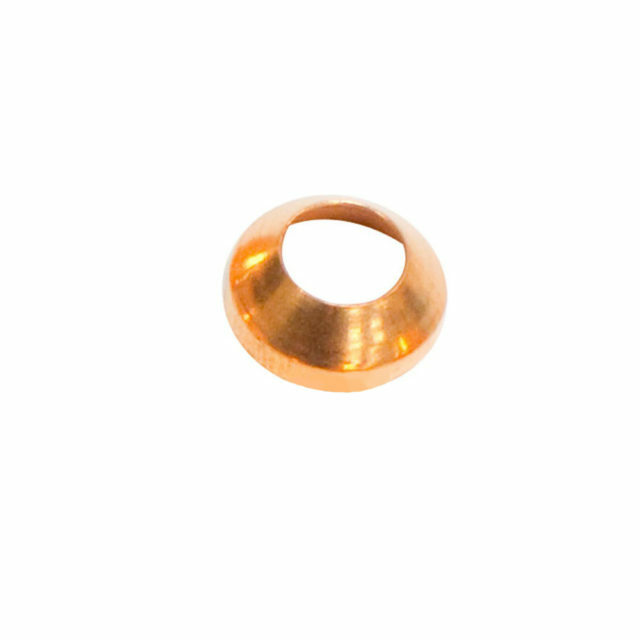 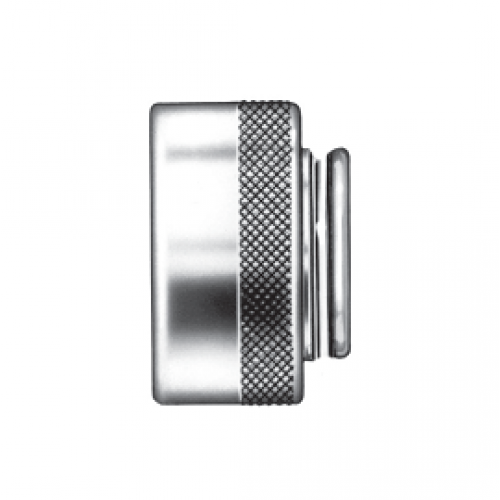 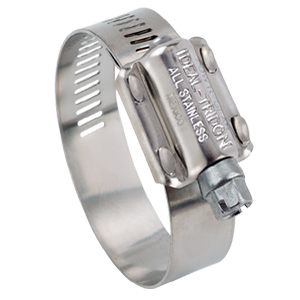 To prove our superior quality, we back up every fitting with product traceability. 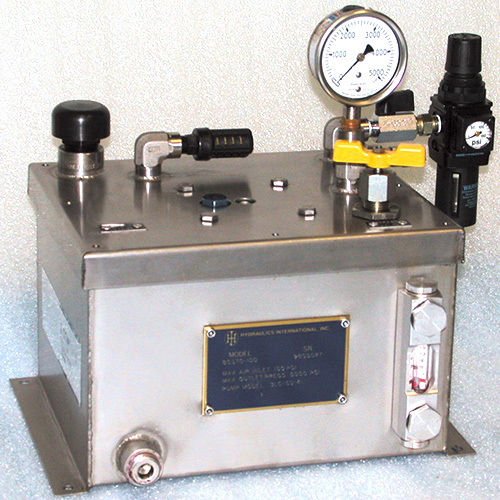 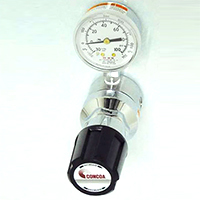 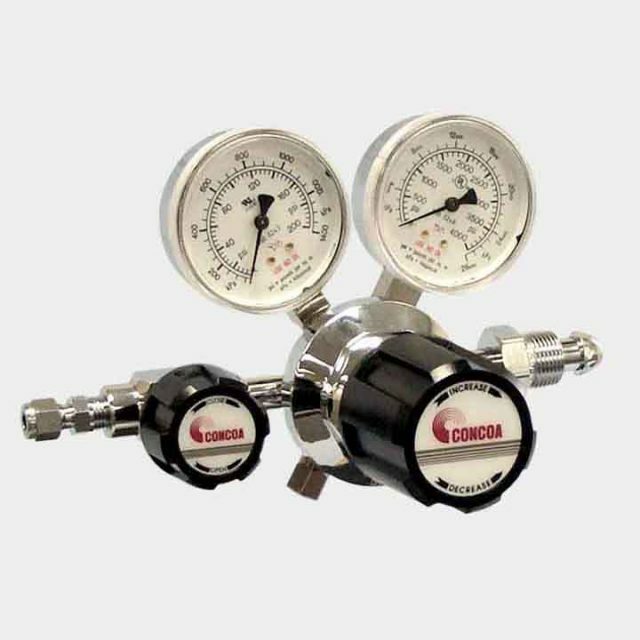 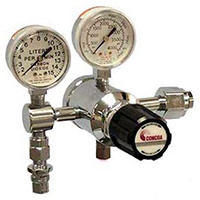 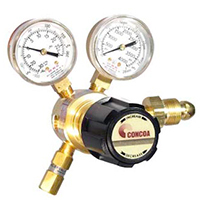 CONCOA, As an independent ISO 9001-registered company, CONCOA prides itself in manufacturing a complete quality line of gas pressure equipment, flow control apparatus and delivery systems for worldwide medical, industrial, and Specialty Gas applications, as well as distribution equipment for laser materials processing. 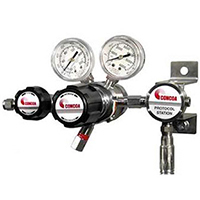 Combining advanced technology with in-depth engineering and customer service support, CONCOA partners with distributors to provide the marketplace with precision gas control solutions. 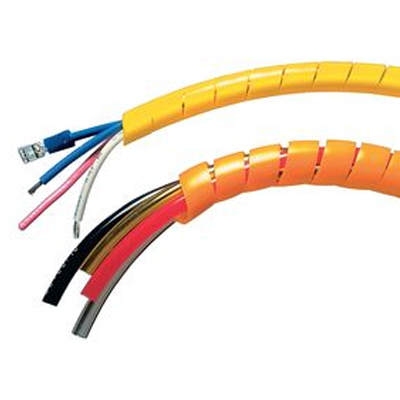 As a division of the Continental Group, ContiTech is a recognized innovation and technology leader in natural rubber and plastics. 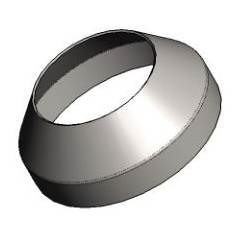 As an industry partner with a firm future ahead of us, they engineer solutions both with and for our customers around the world. 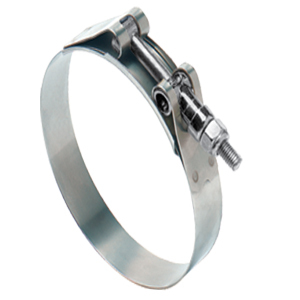 The bespoke solutions are specially tailored to meet the needs of the market. 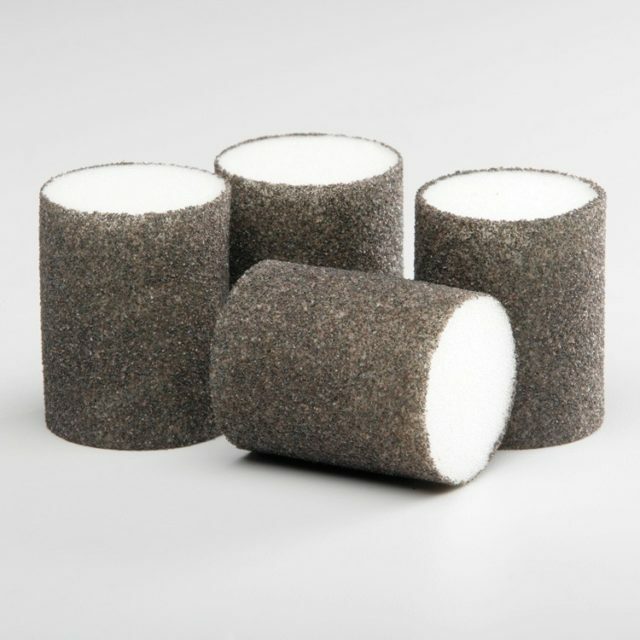 With extensive expertise in materials and processes, we are able to develop cutting-edge technologies while ensuring we make responsible use of resources. 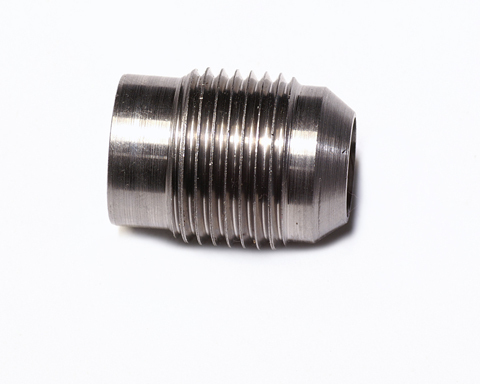 We are quick to respond to important technological trends, such as function integration, lightweight engineering and the reduction of complexity, and offer a range of relevant products and services. 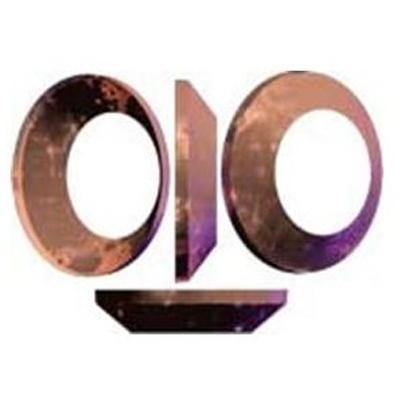 That way, when you need us, you’ll find we’re already there. 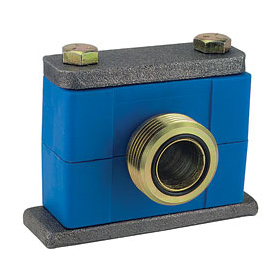 For more than 75 years, Dixon Quick Coupling has been recognized as a leading manufacturer of hydraulic and pneumatic quick disconnect couplings. 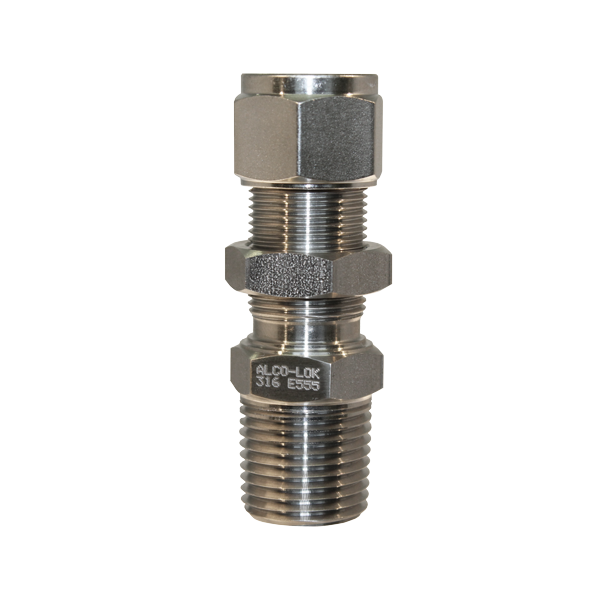 While providing the broadest product offering in the industry, Dixon Quick Coupling proudly emphasizes American manufacturing in our state-of-the-art facility in Dallas, NC. 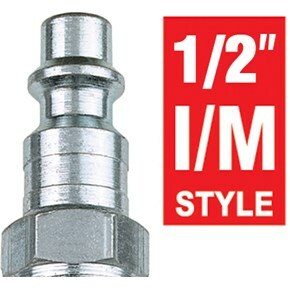 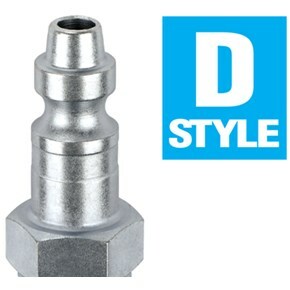 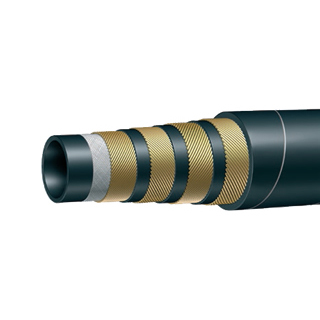 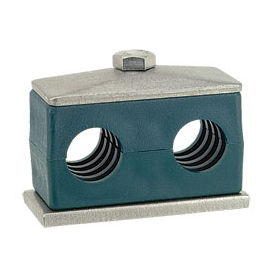 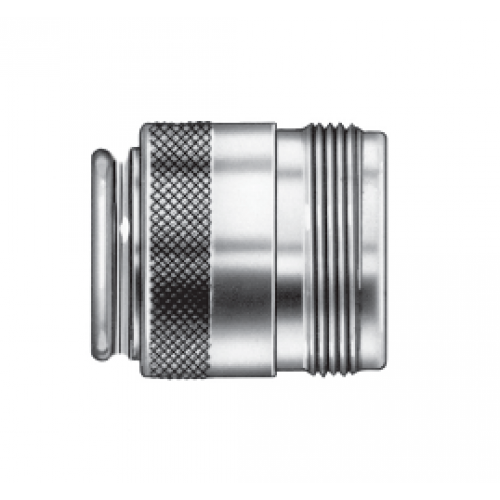 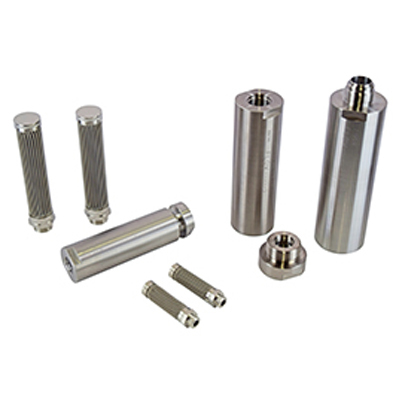 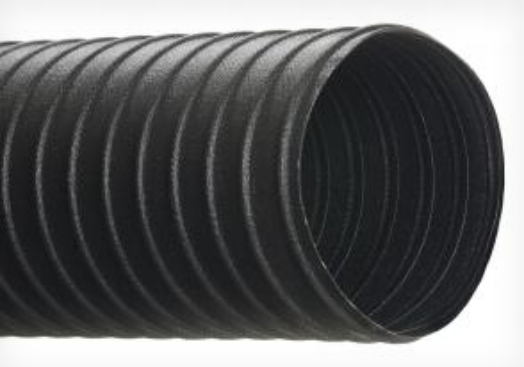 With a focus on market knowledge, engineering excellence, and an industry leading customer experience, Dixon Quick Coupling is The Right Connection for all your quick disconnect needs. 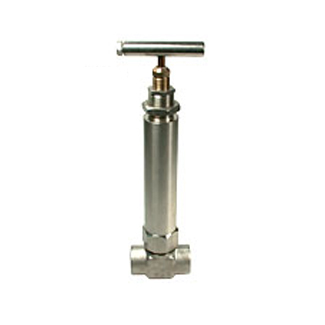 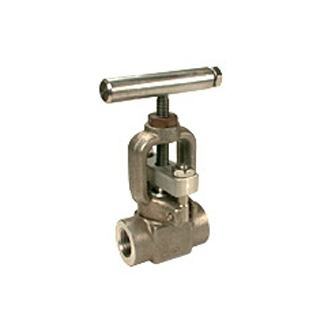 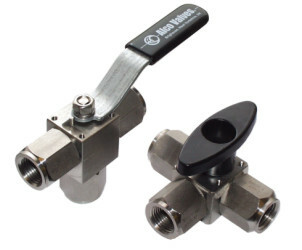 Dragon Valves Inc., founded in 1945, manufactures instrumentation, manifold and specialty valves. 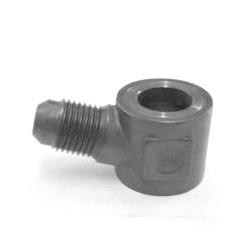 Dragon manufactures power valves in accordance with ASME Section III Class 1, 2 and 3 under its “N” stamp quality program. 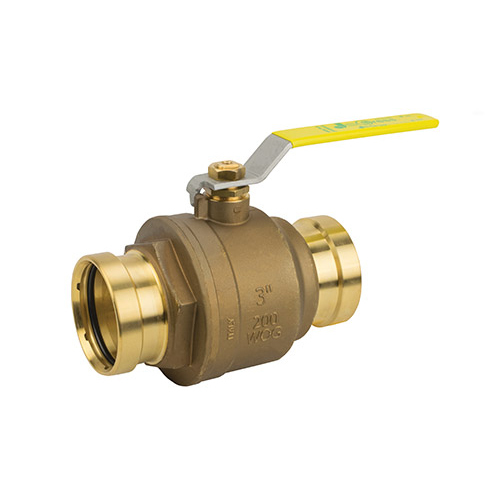 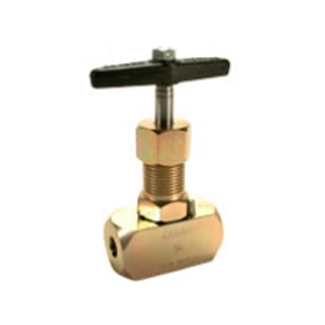 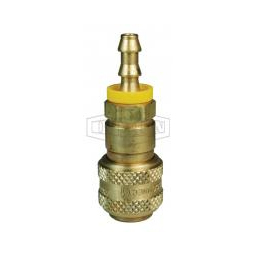 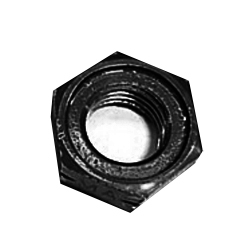 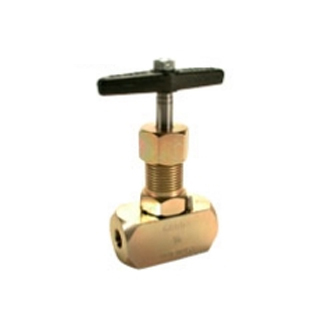 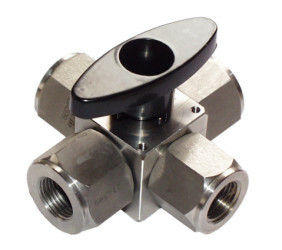 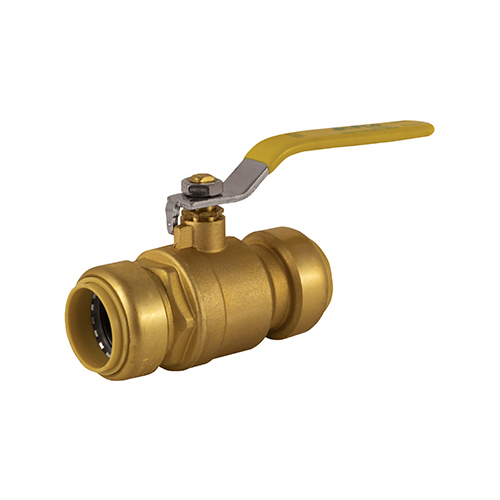 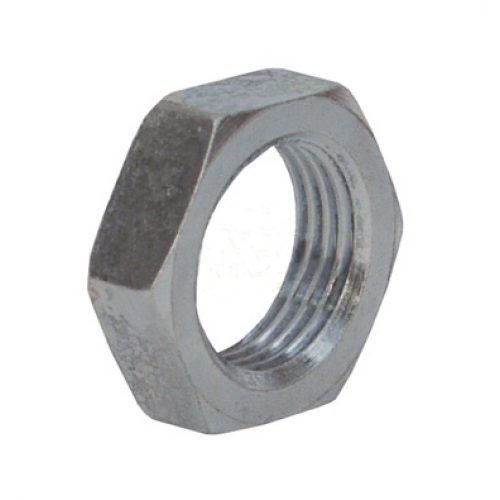 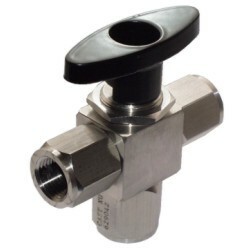 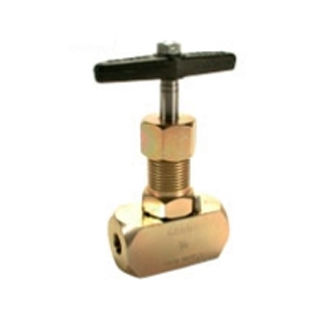 All valves are designed, machined, assembled, and tested in Nor walk, California.The Fitting Source Inc., we are the authorized re seller of Dragon Valves Products. 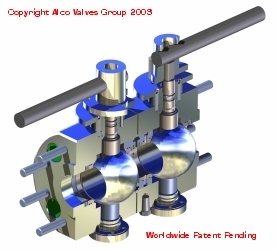 The Fitting Source is Proud to be part of the Dragon Valves Families of re-sellers. 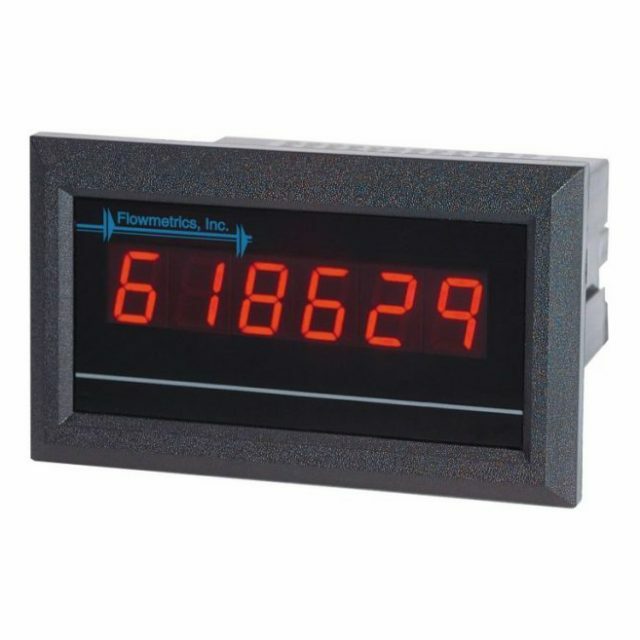 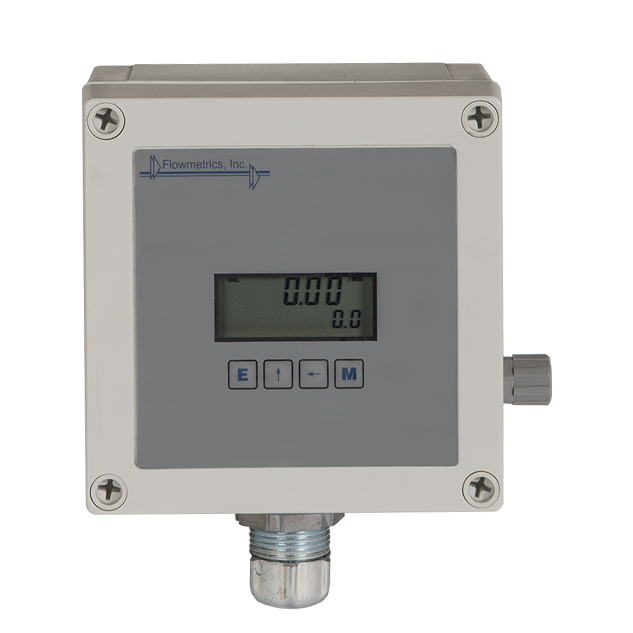 Flowmetrics Inc. is a leading manufacturer of flow meters and associated flow computers. 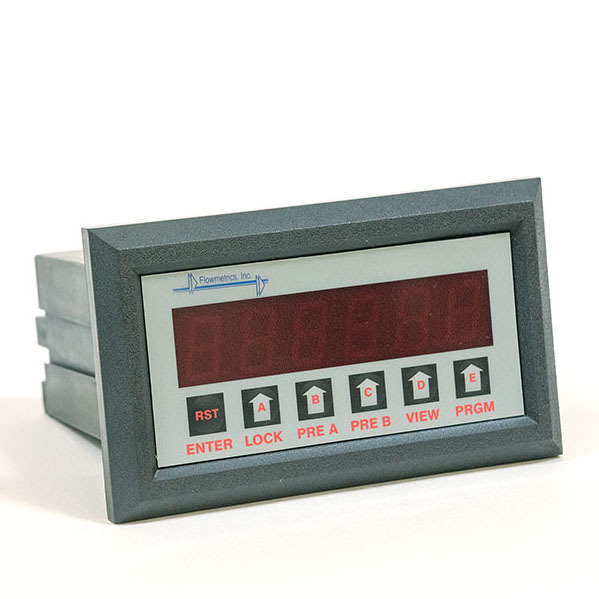 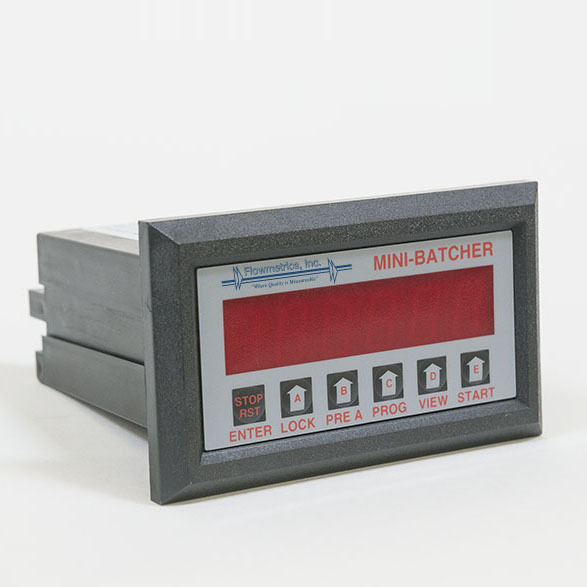 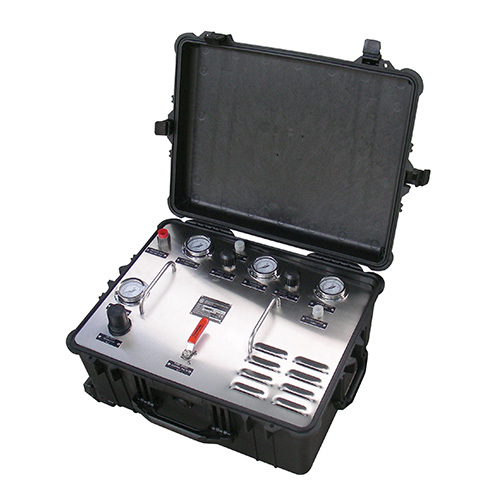 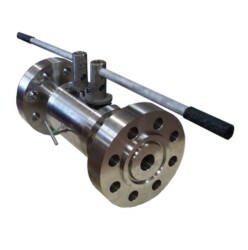 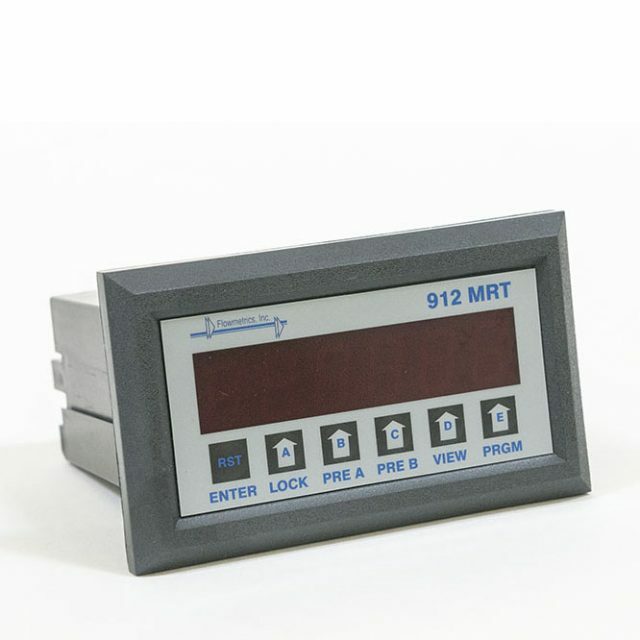 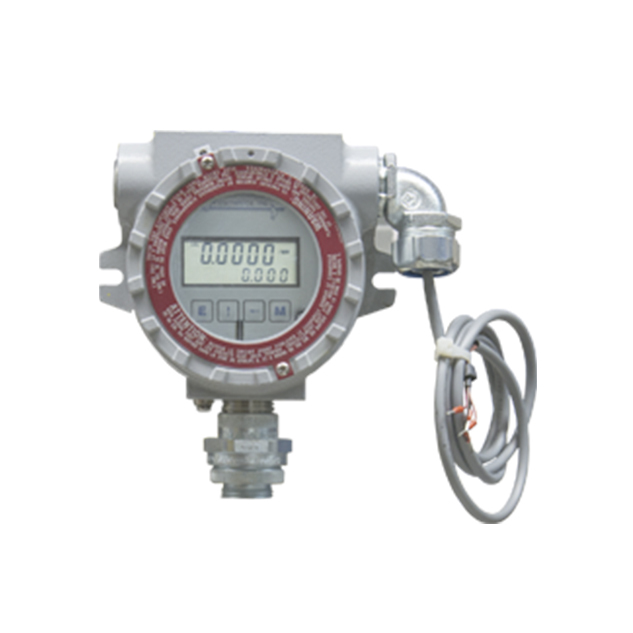 Specifically, we provide in-line and insertion turbine flow meters, variable area flow meters (rotameter), positive displacement flow meters, MAG/RF pickups, ratemeters, totalizers, batch controllers, flow computers, field indicators, and signal conditioners. 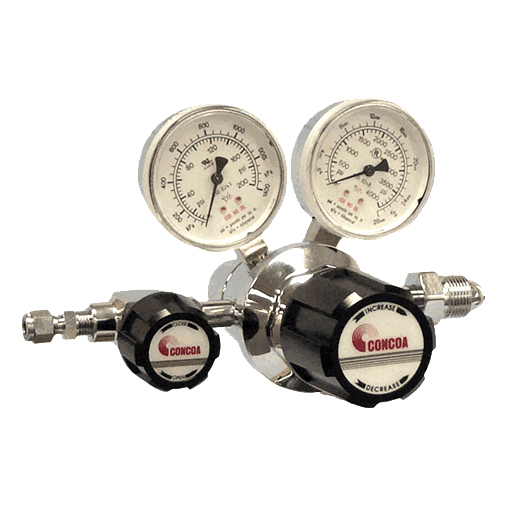 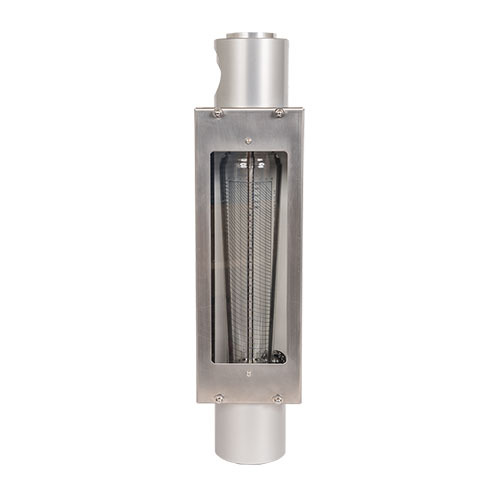 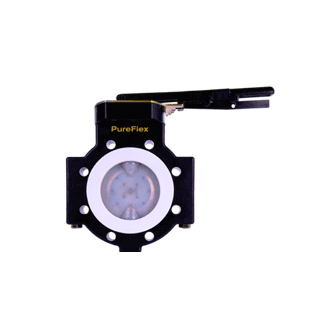 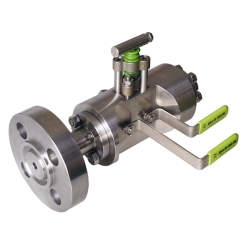 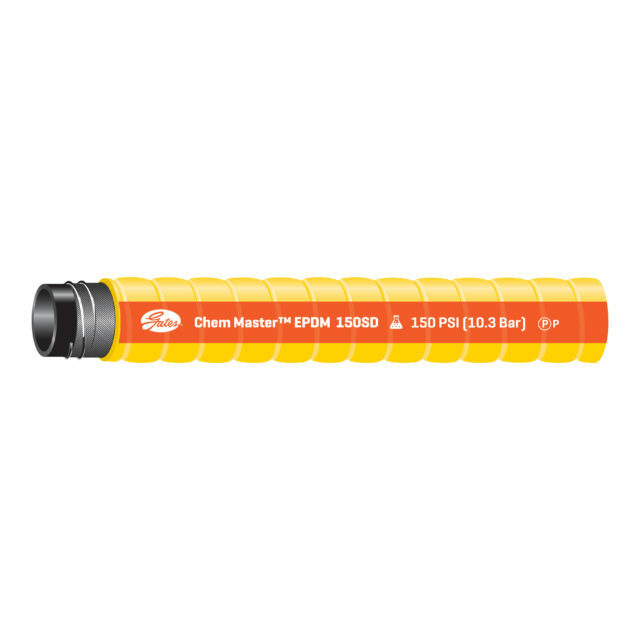 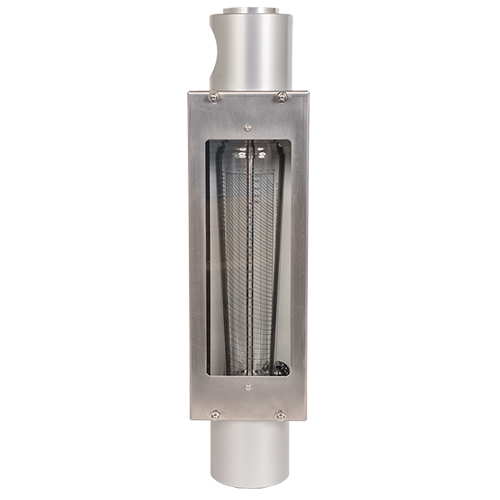 Our turbine flow meters are available in sizes from 1/2″ to 12″ and are capable of measuring liquid flow rates from .001 to 15,000 GPM and gas flow rates from .005 to 15,000 ACFM. 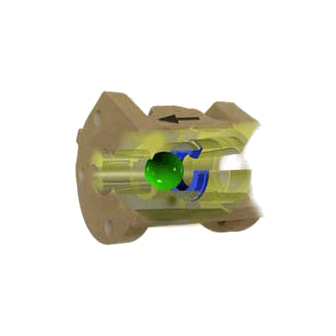 The Fitting Source is Proud to be part of the Flowmetrics Inc. 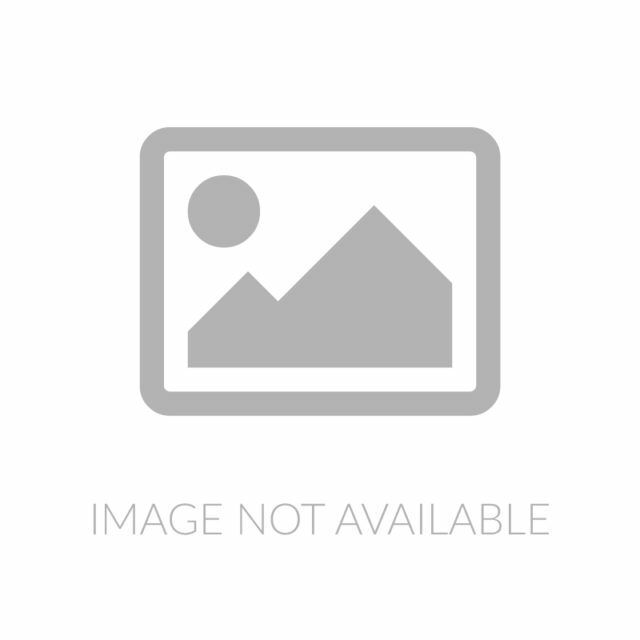 Families of re-sellers. 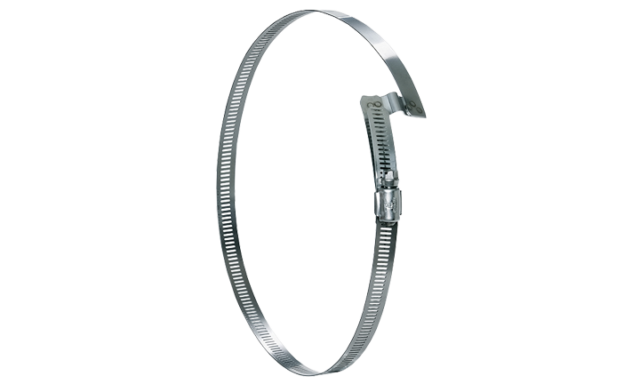 Gates Corporation is the world’s leading manufacturer of power transmission belts and a premier global manufacturer of fluid power products. 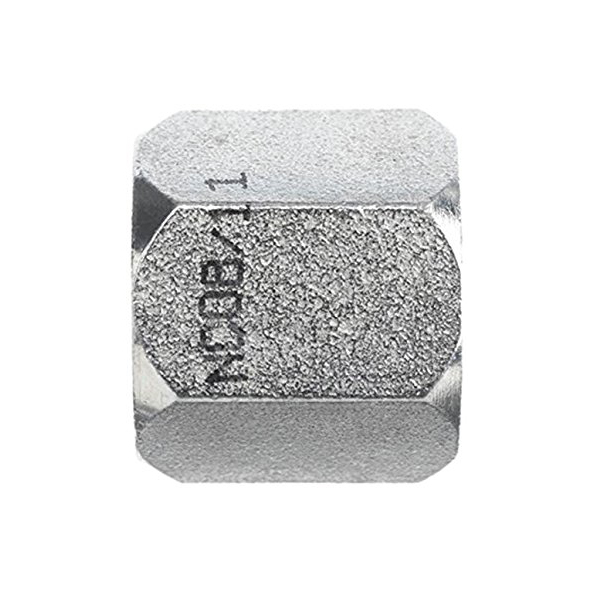 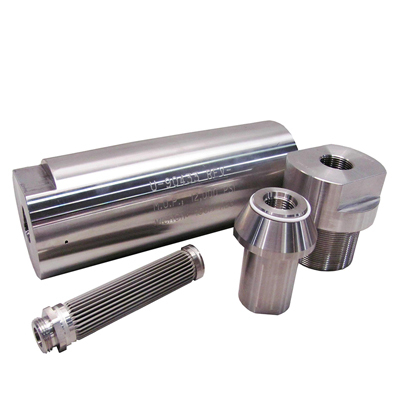 The highly engineered products are critical components used in diverse industrial and automotive applications where the cost of failure is very high relative to the cost of our products. 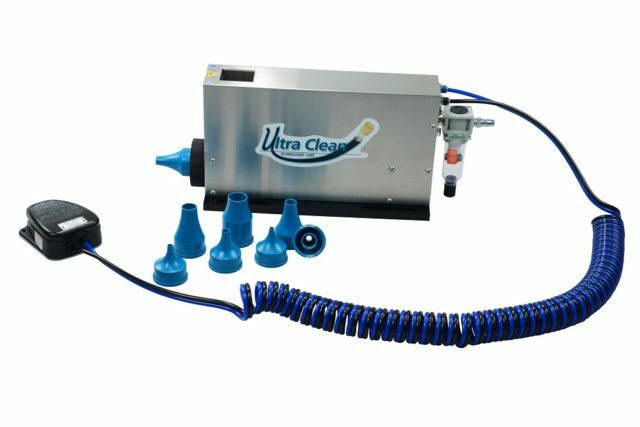 We sell our products globally under the Gates brand, which is recognized by distributors, original equipment manufacturers, and installers as the premium brand for quality and technological innovation, a reputation which we have built for over a century since our founding in 1911. 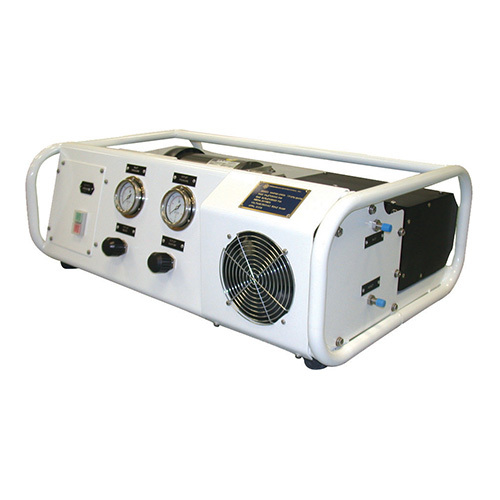 Hi-Tech Duravent is the Industrial brand of Flexible Technologies, Inc.Flexible Technologies is an innovative service and manufacturing organization with experienced employees eager to continue a tradition of excellence specializing in custom engineering, quality manufacturing, and outstanding customer service. 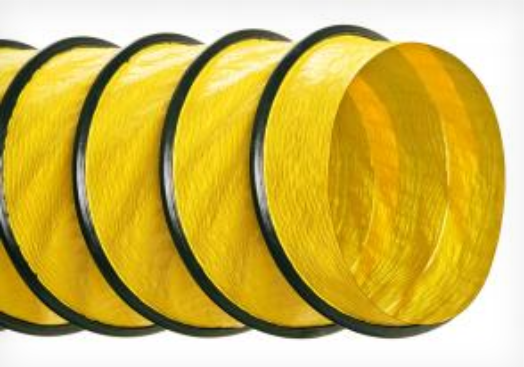 Flexible Technologies is a member of the Flexible Solutions Group of the Flex-Tek Group which is based in Greenwood, South Carolina. The Flex-Tek Flexible Solutions Group’s global headquarters is located in Abbeville, SC. 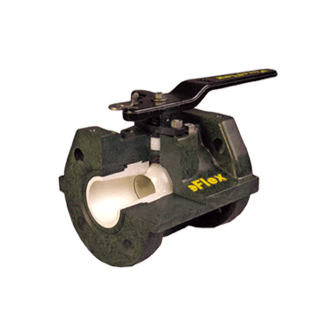 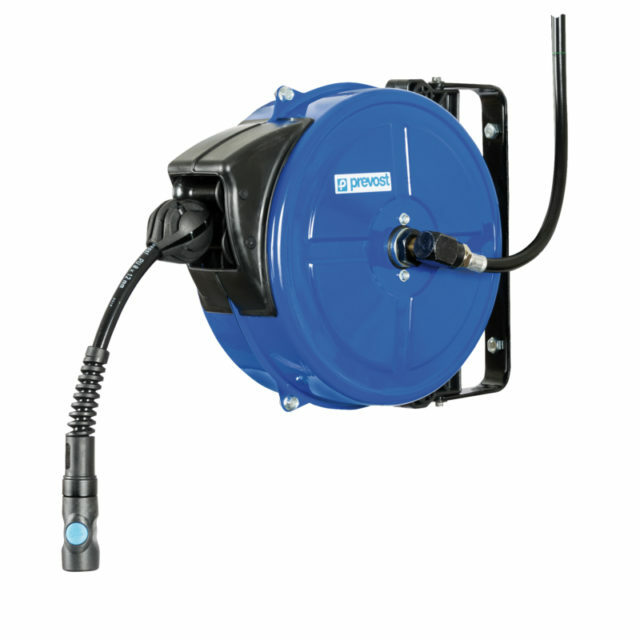 Flex-Tek is a division of Smiths Group, PLC, which is headquartered in London, England. 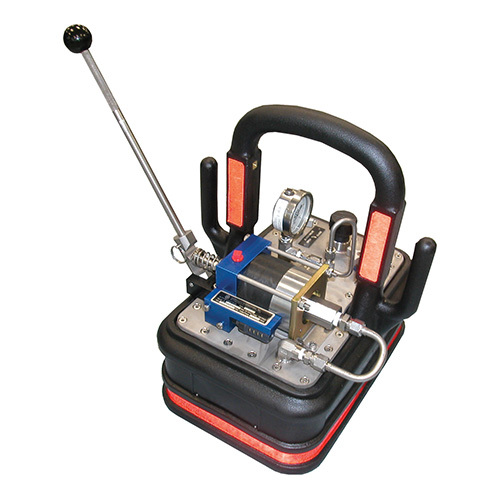 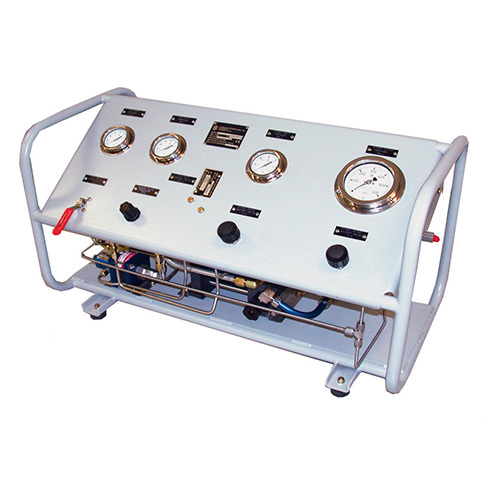 Hydraulics International, Inc., HII is one of the world’s leading manufacturers of both military and commercial aircraft ground support equipment. 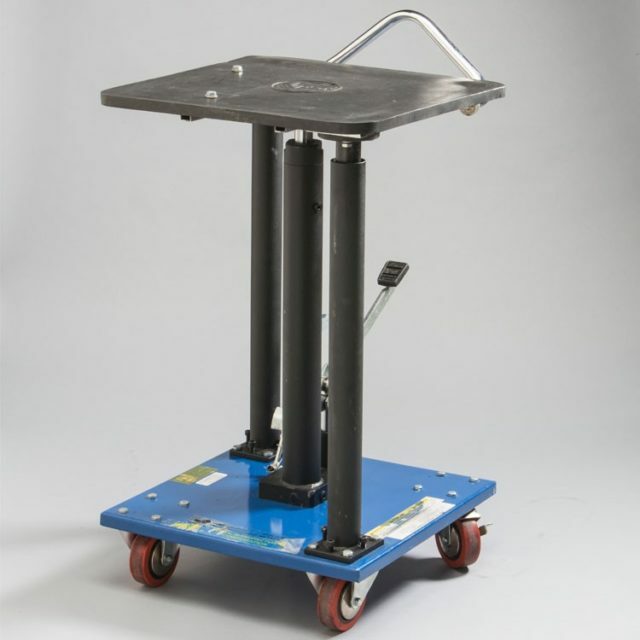 HII is a research and development organization whose modernization has improved designs in the area of ground support equipment. 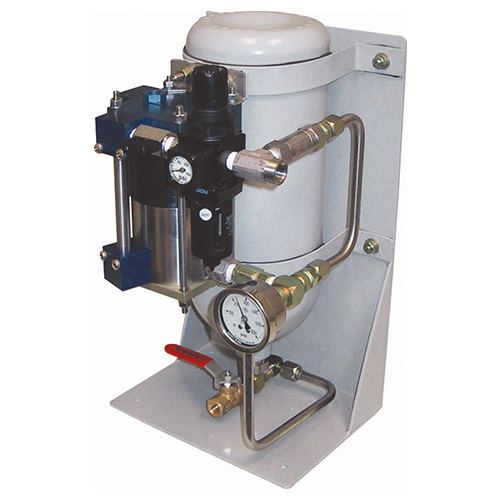 The Fitting Source Inc. is proud to be recognized as an Affiliated distributor that has been trained on the features and benefits Hydraulics International, Inc. – Pumps Division. 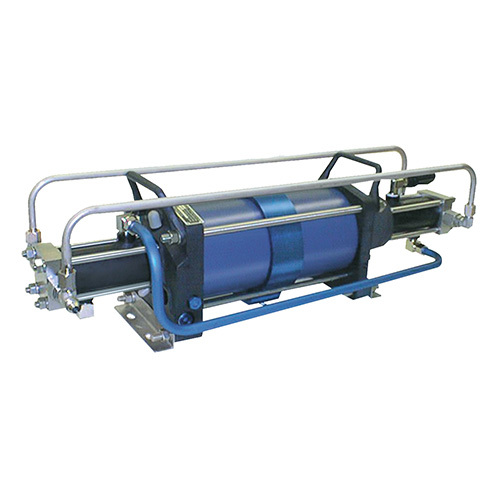 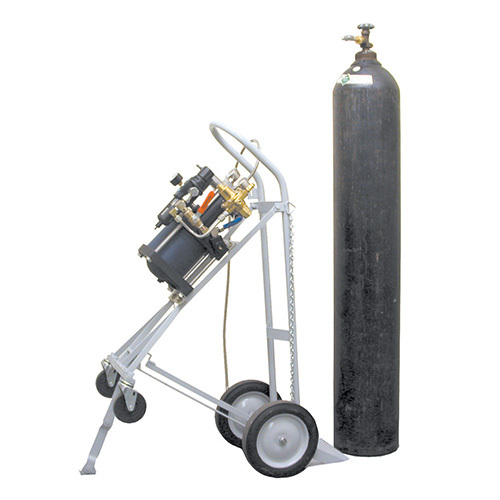 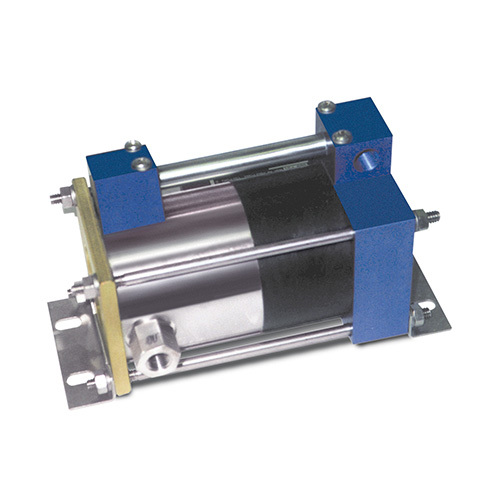 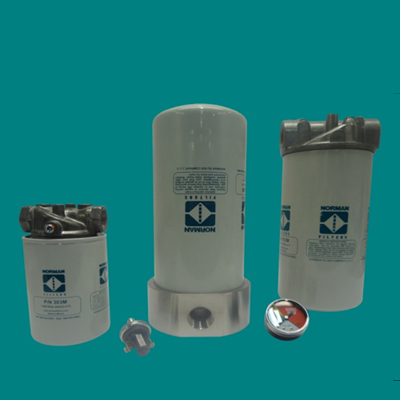 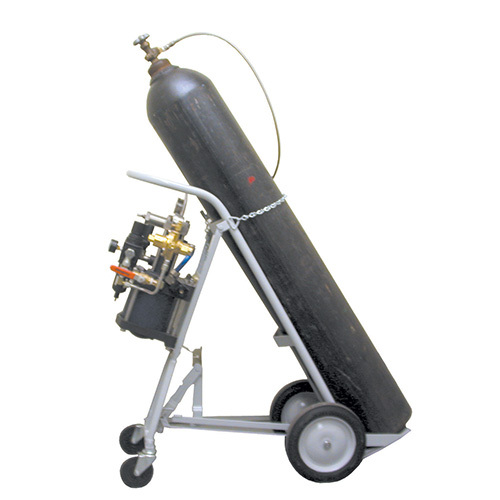 We sale, support and train the following product lines Air Driven Liquid Pumps, Air Driven Gas Boosters, Air Driven Air Pressure Amplifiers, Electric Driven Gas Boosters and High Pressure Components. 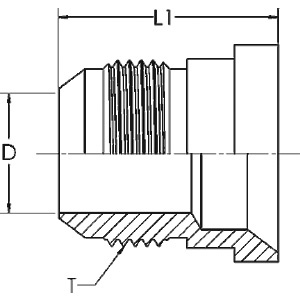 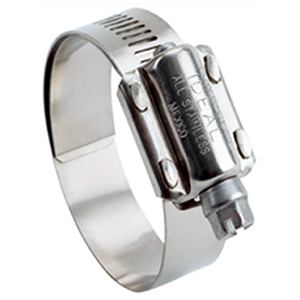 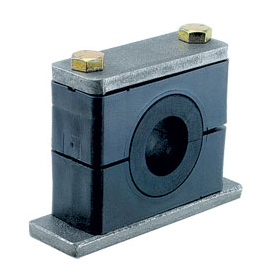 Ideal Clamp Products, Inc., is a leading global engineering solutions designer and manufacturer of stainless steel worm gear and specialty clamps for auto, heavy duty, industrial, plumbing, marine and specialty hose clamps used in a broad range of fastening and sealing applications. 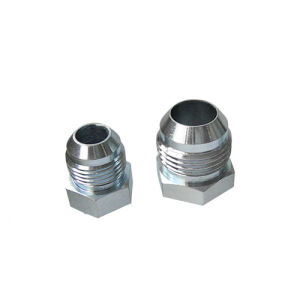 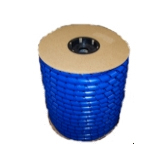 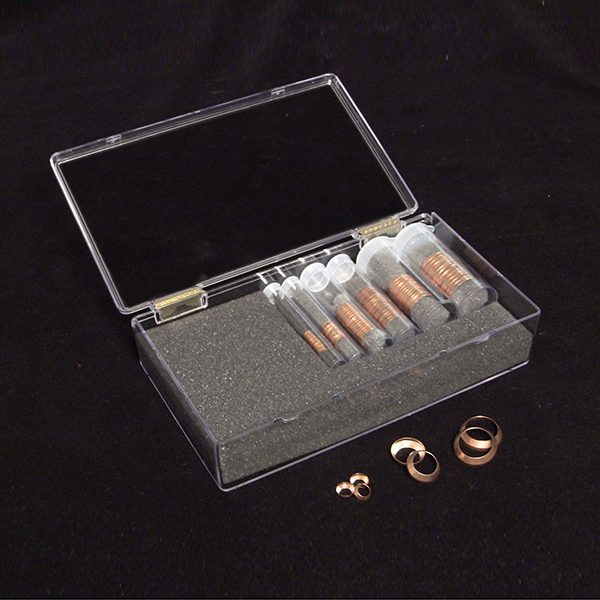 The products are highly engineered, top-line quality. 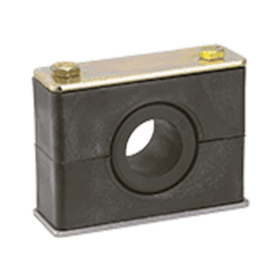 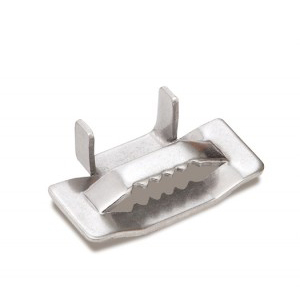 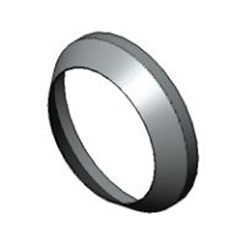 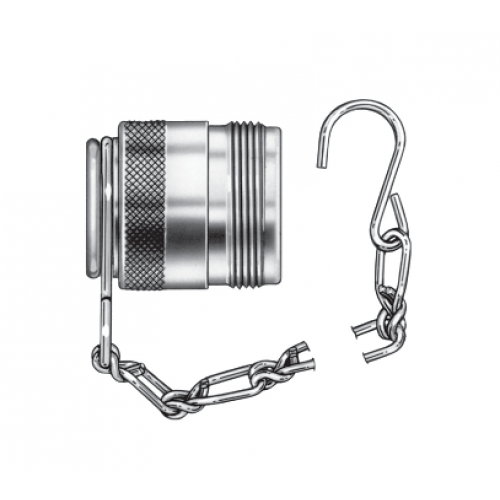 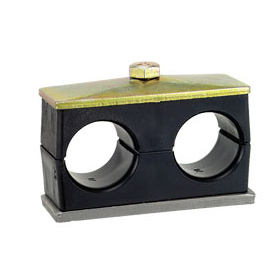 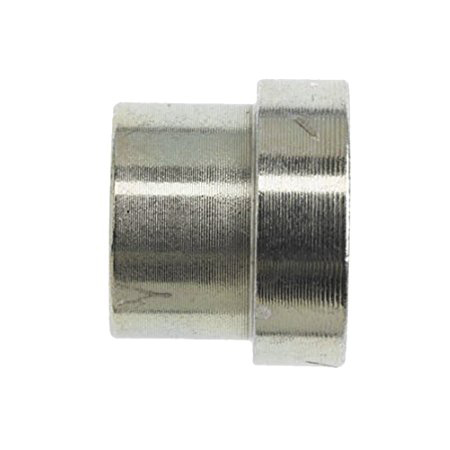 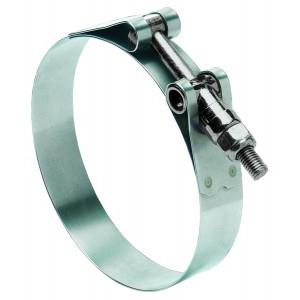 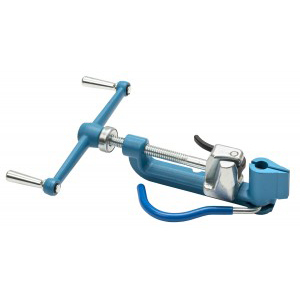 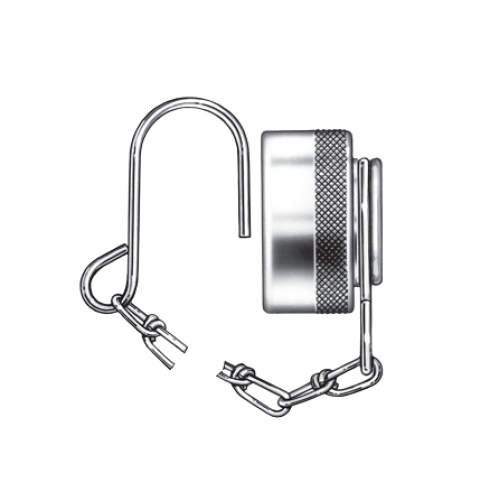 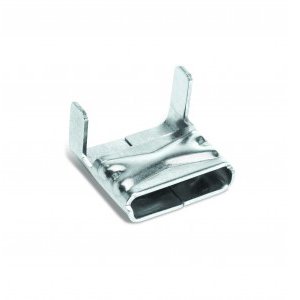 They work with our customers to develop and supply stainless steel clamps, worm drive hose clamps, high-torque clamps, constant tension clamps, T-Bolts, V-Inserts, no-hub couplings and a host of specialty and custom clamping products. 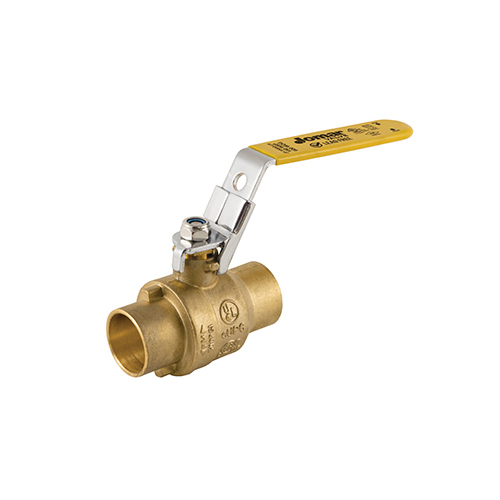 Founded in 1966 by former Navy Commander Joseph Martin, Jomar Valve set out to change the way the valve industry thought about valves. 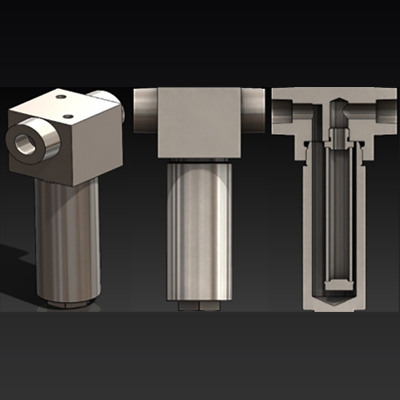 Innovation was paramount in Martin’s quest, and as a result, several of his valve designs are now industry standards. 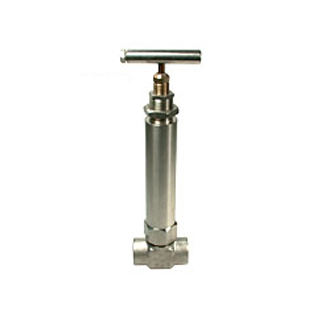 In addition, Jomar was the first manufacturer to be certified by UL, CSA and NSF for valves used in any application. 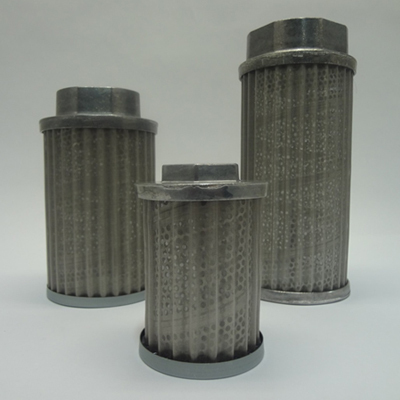 Kongsberg Automotive provides world class products to the global vehicle industry. 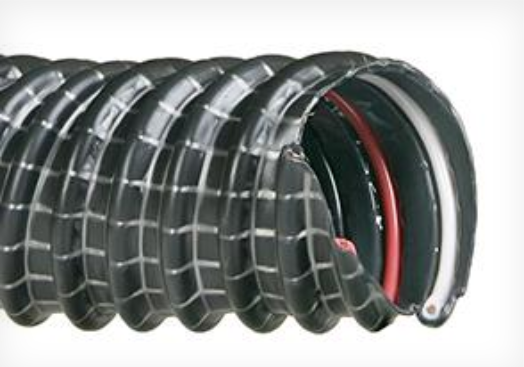 Our products enhance the driving experience, making it safer, more comfortable and sustainable. 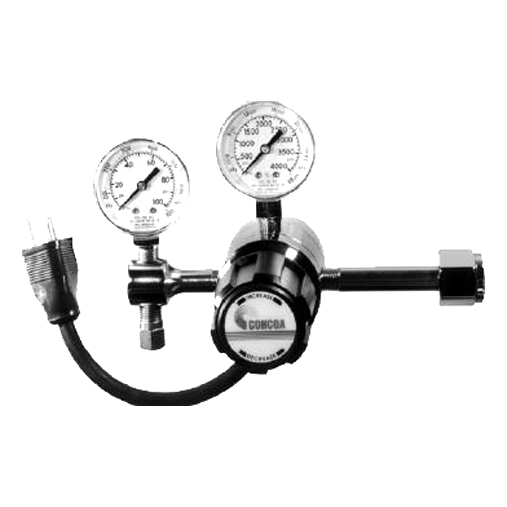 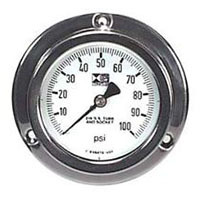 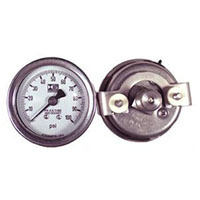 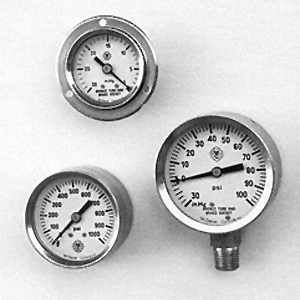 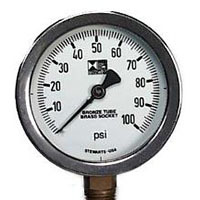 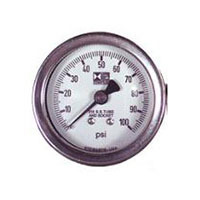 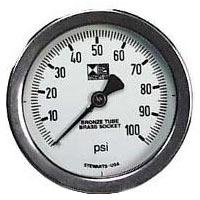 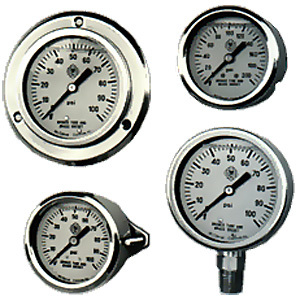 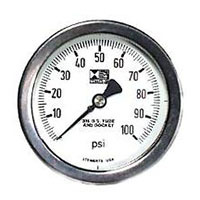 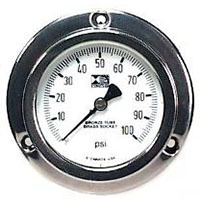 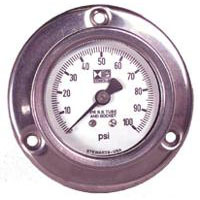 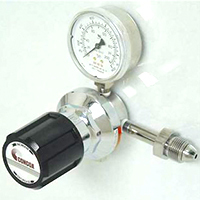 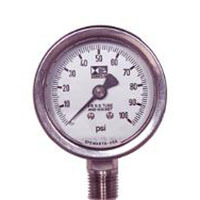 First conceived in 1972 when a liquid fillable gauge appeared on the American market, McDaniel developed the first all stainless, liquid fillable, field repairable line of pressure gauges. 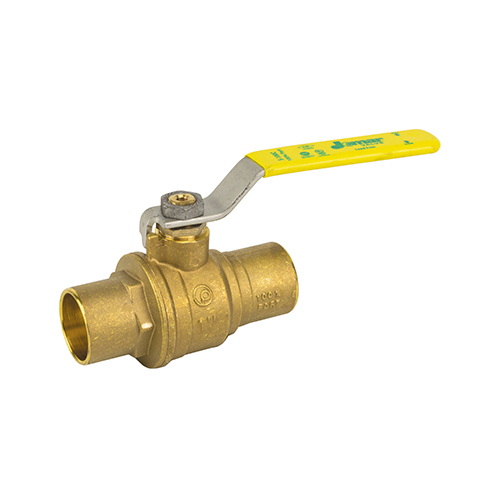 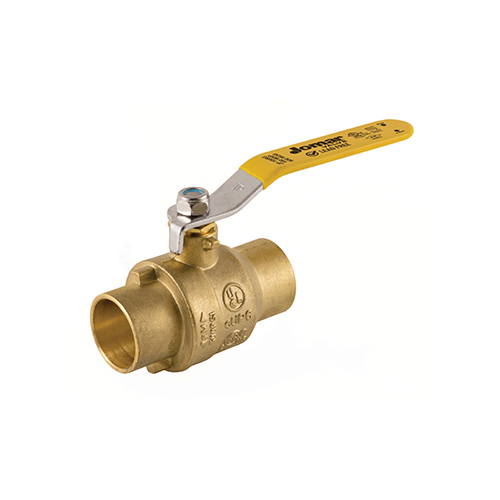 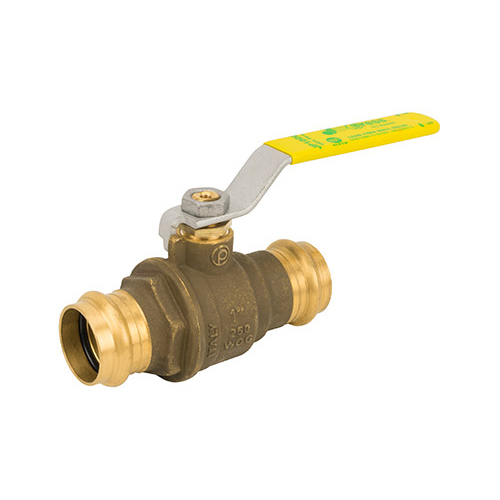 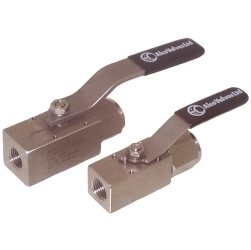 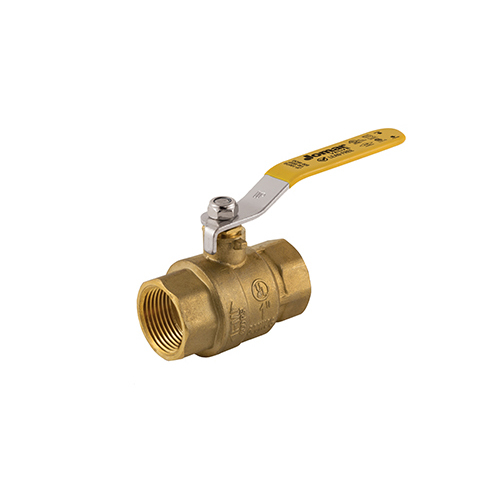 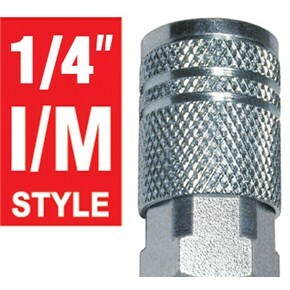 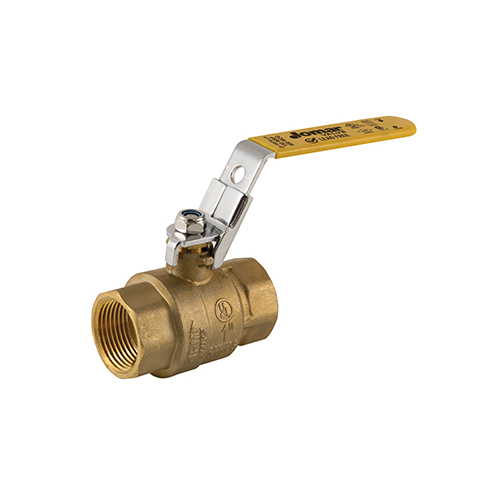 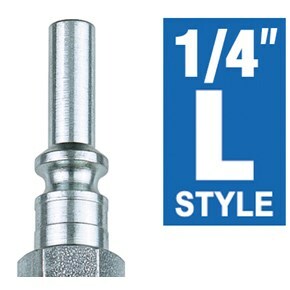 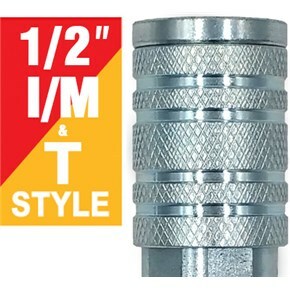 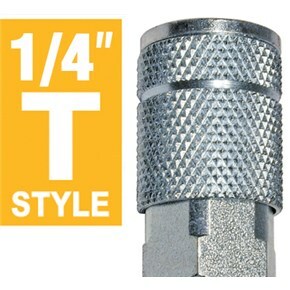 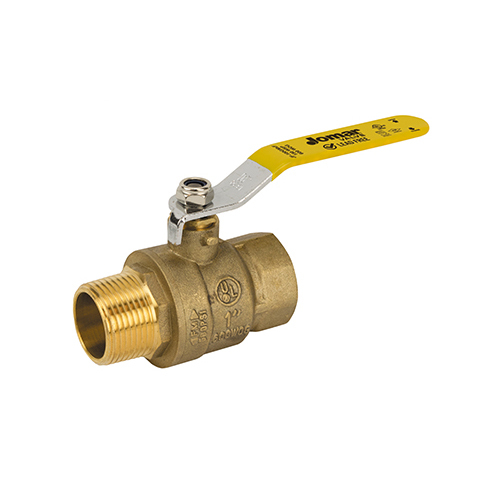 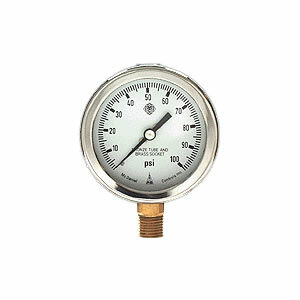 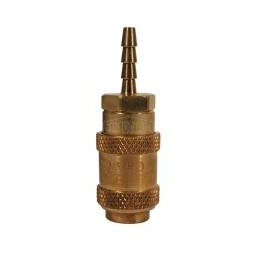 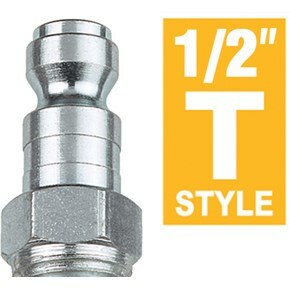 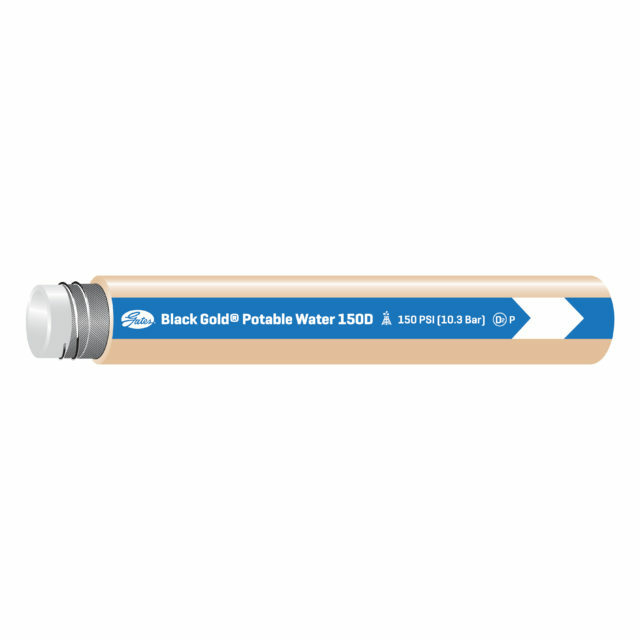 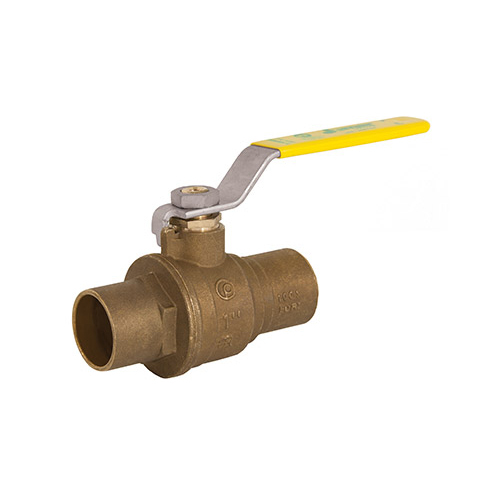 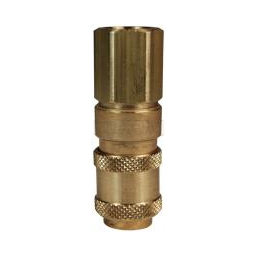 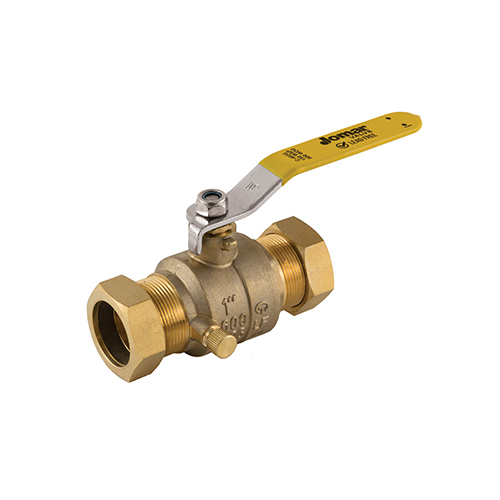 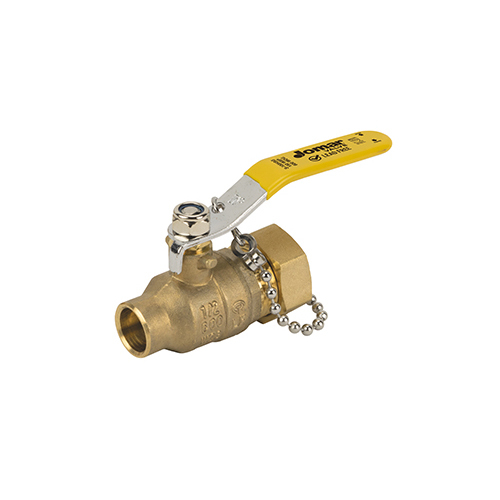 With pressure ranges from 1.6 inches of H20(WC) up through 60,000 psi and dial sizes of 1-1/2″, 2″, 2-1/2″, 4″, 4 1/2″, 6″ and 10″ – of quality construction; all-stainless steel, brass, etc. 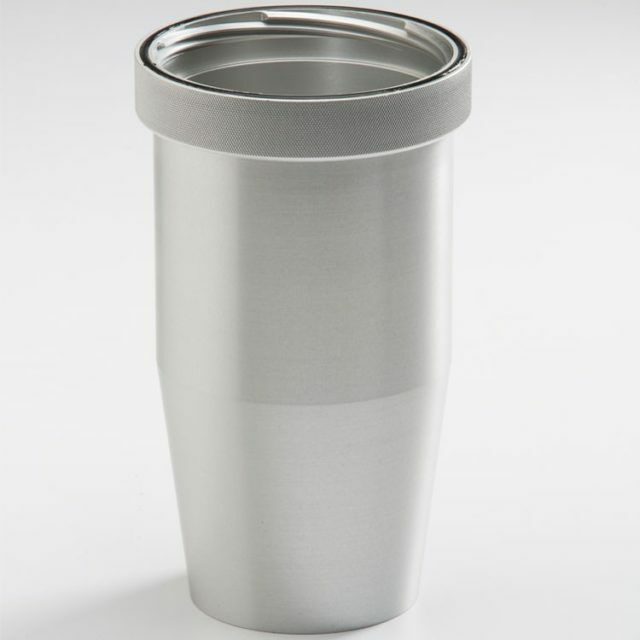 We have the largest and finest selection available. 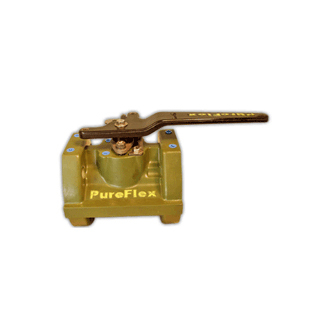 Many “first of its kind” were manufactured with only one thought in mind: “purposeful construction“. 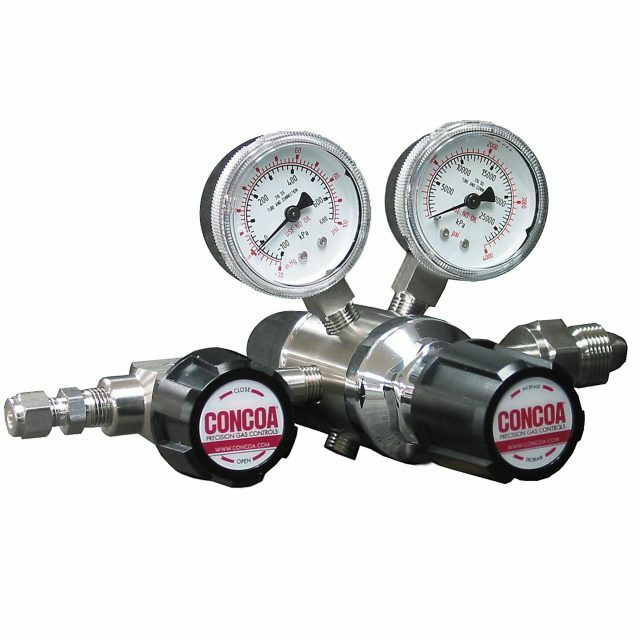 Economical and dependable operation with cost as only a secondary consideration. 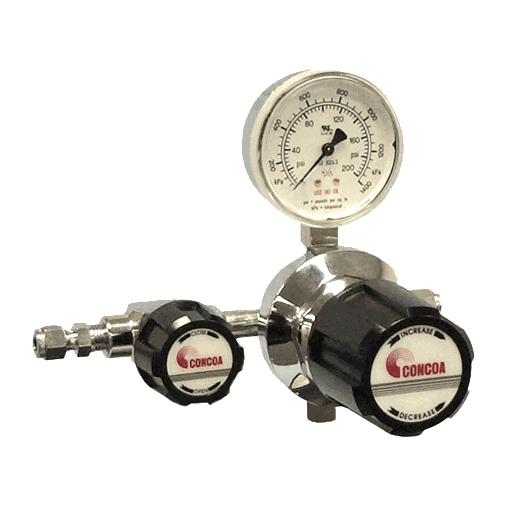 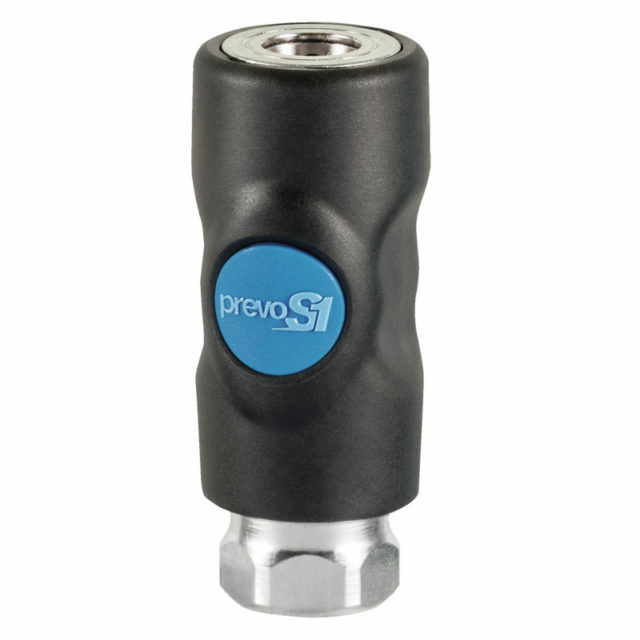 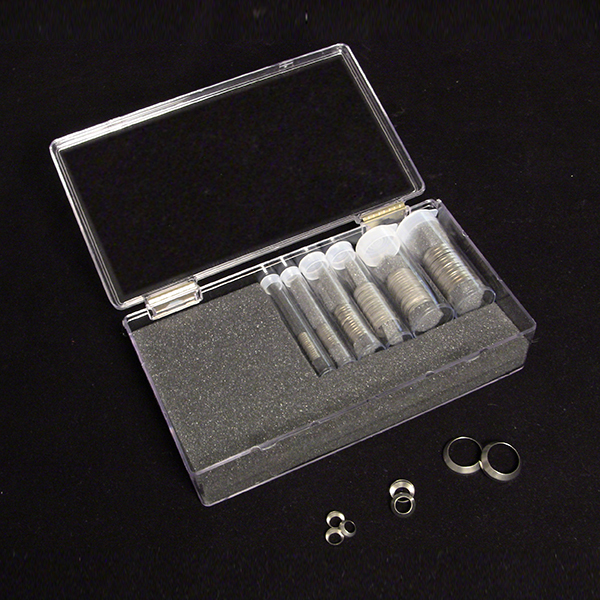 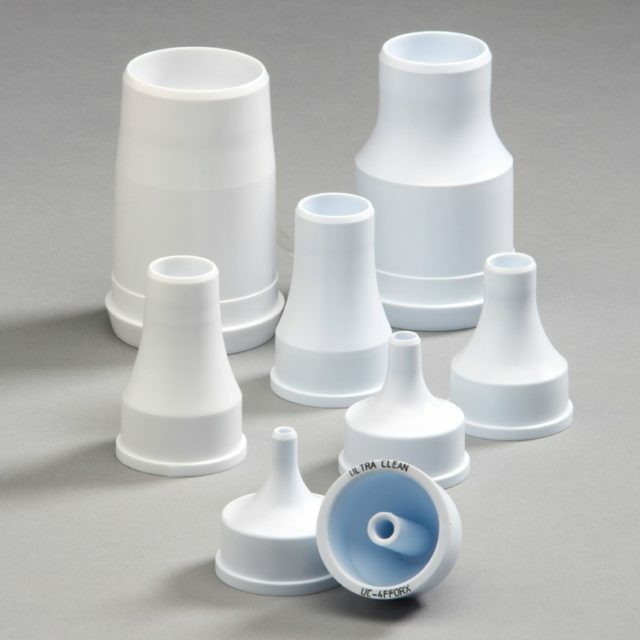 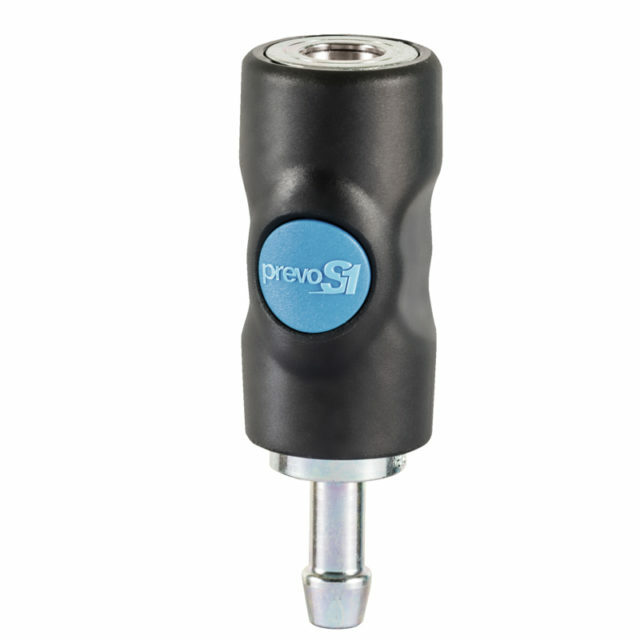 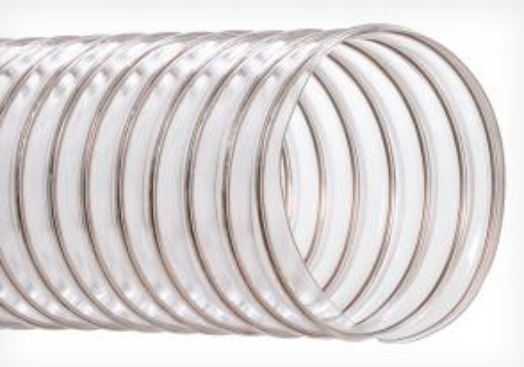 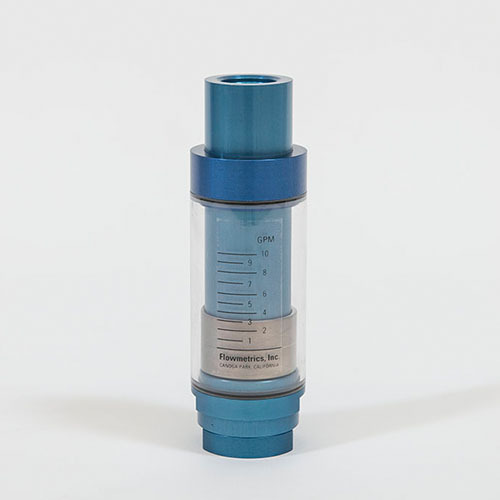 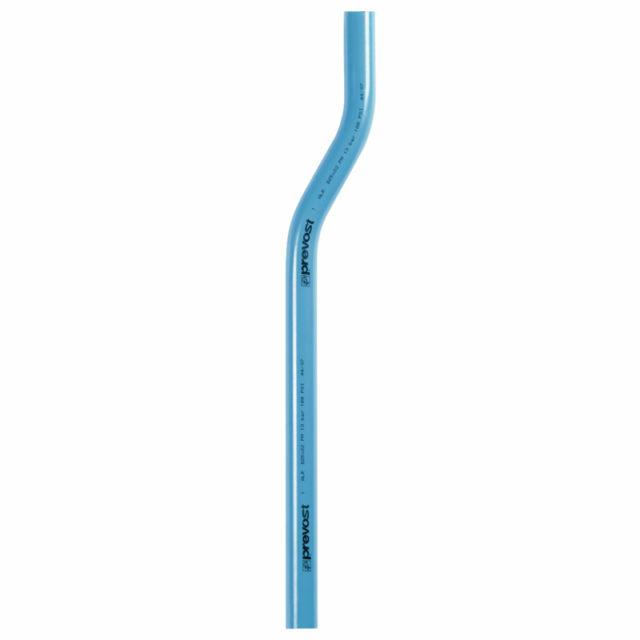 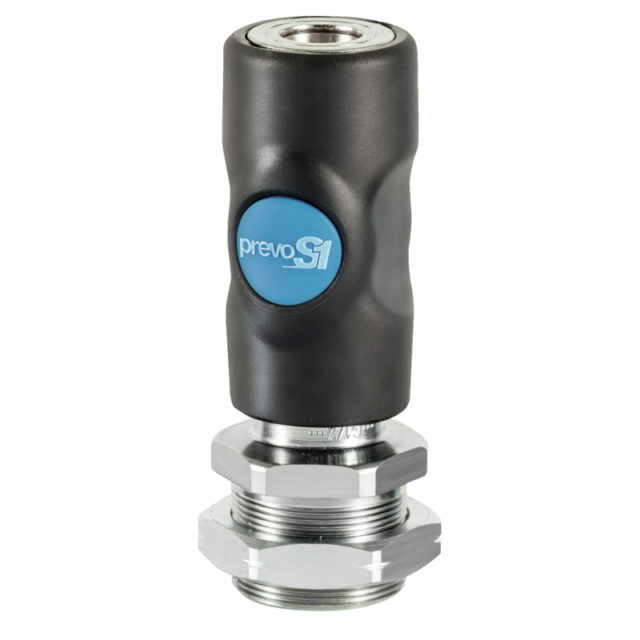 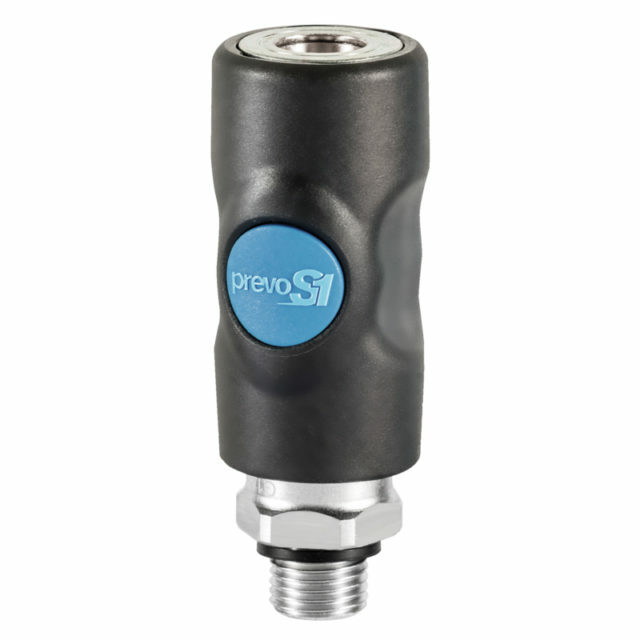 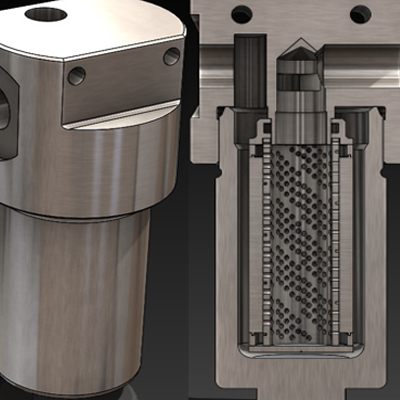 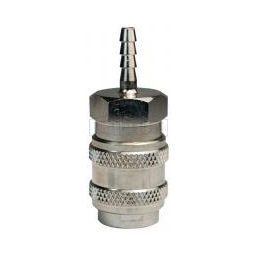 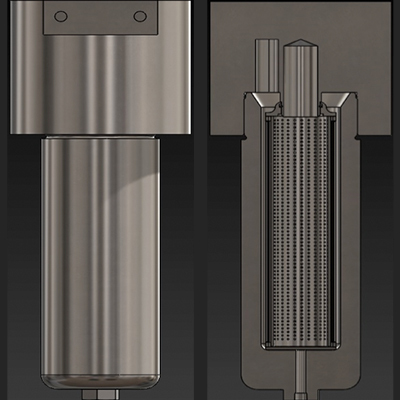 Engineered to withstand 300% full scale pressure without rupture of the bourdon tube and 130% full scale pressure(for all instruments larger than 2 1/2”) without loss of accuracy makes us the exception in the marketplace today. 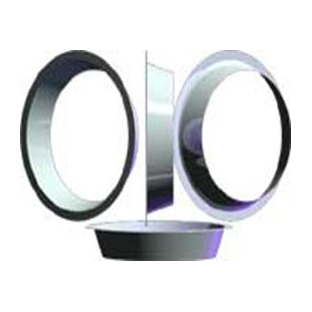 OmegaOne is the name AMFM Incorporated conducts business under. 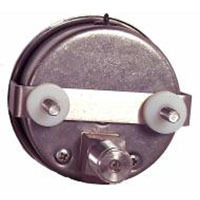 AMFM was founded by Robert “Mac” McIntosh. 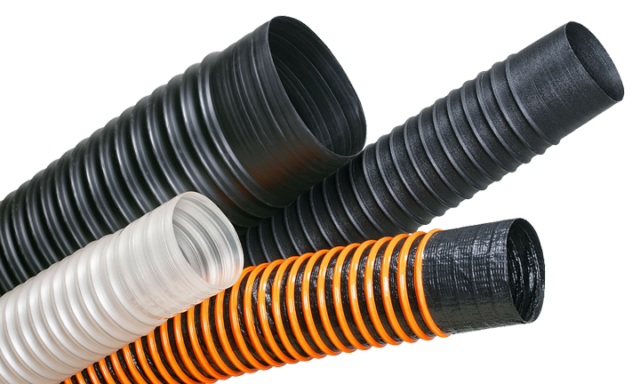 Building off of a prosperous career in the metal hose industry Robert “Mac” McIntosh started AMFM Incorporated in the fall of 1987. 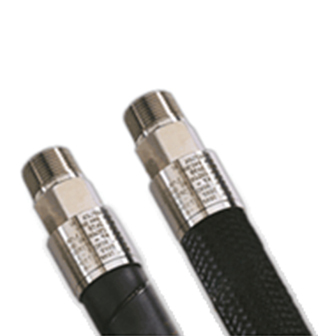 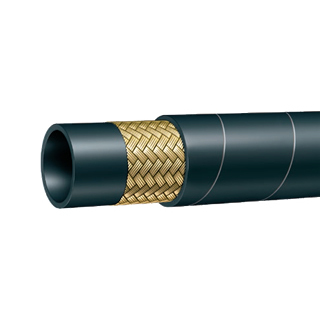 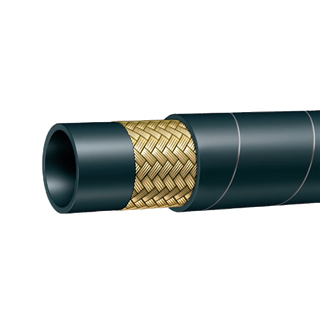 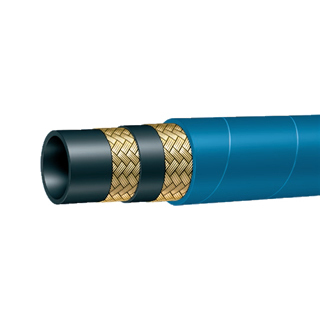 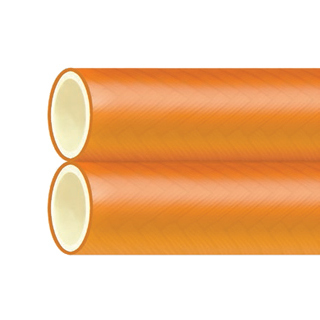 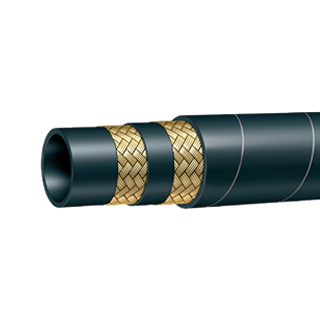 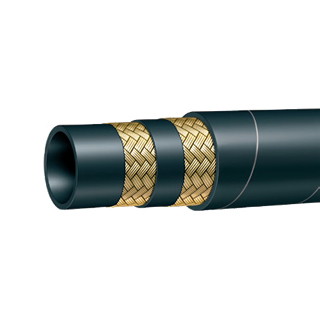 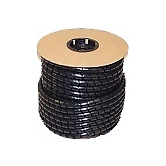 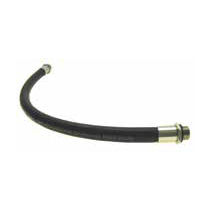 AMFM pioneered the metal hose industry developing a product known as the braid band. 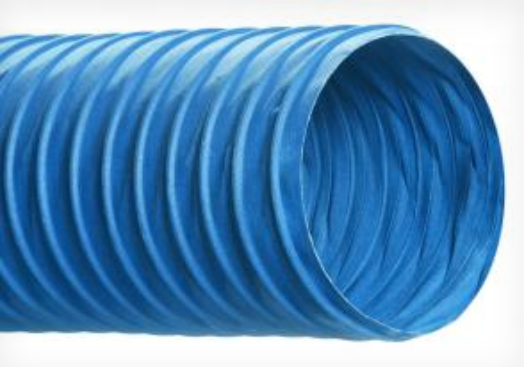 Mac disrupted the metal hose industry by changing the braid band from an item metal hose fabricators made-up to an item they purchased. 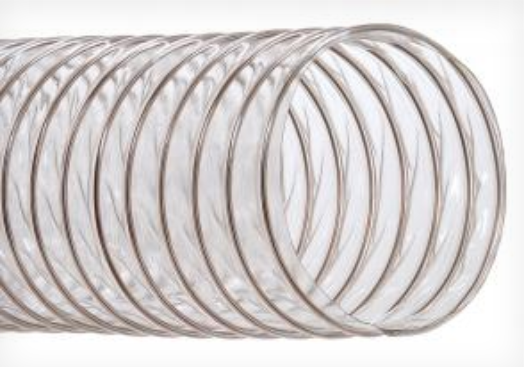 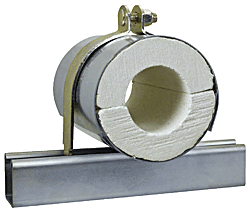 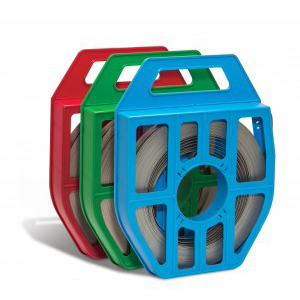 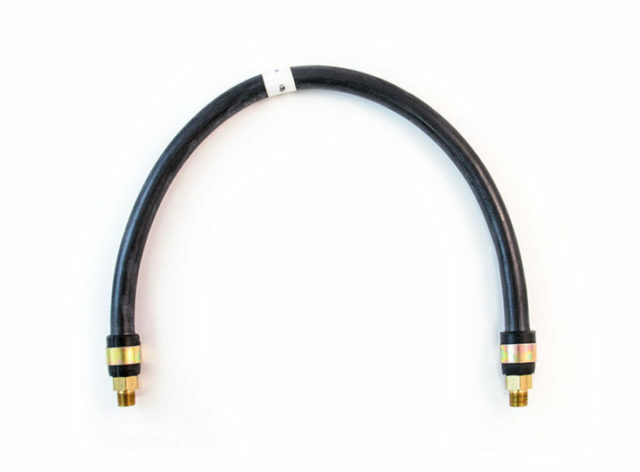 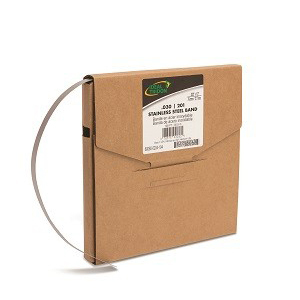 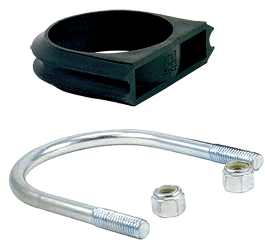 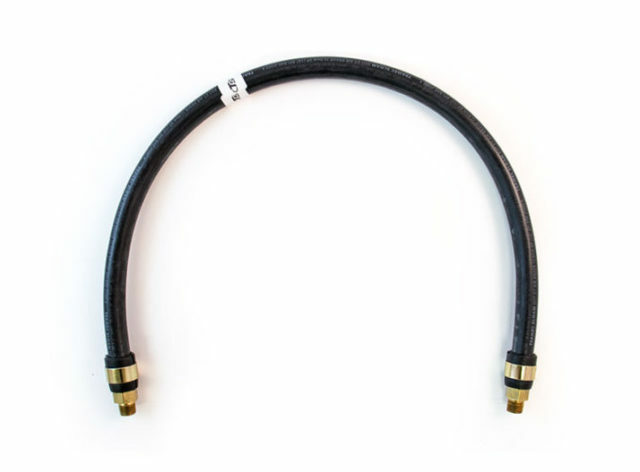 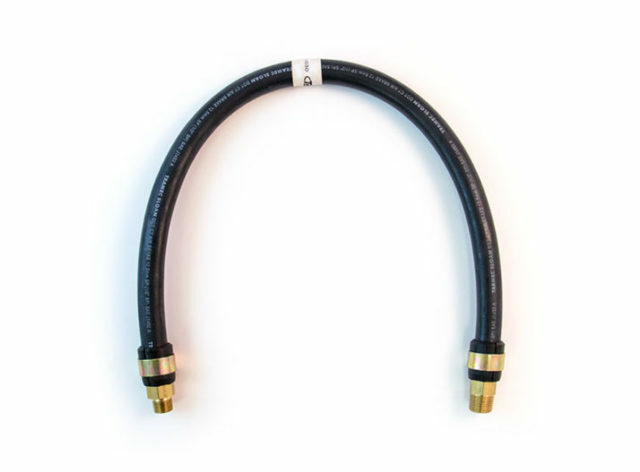 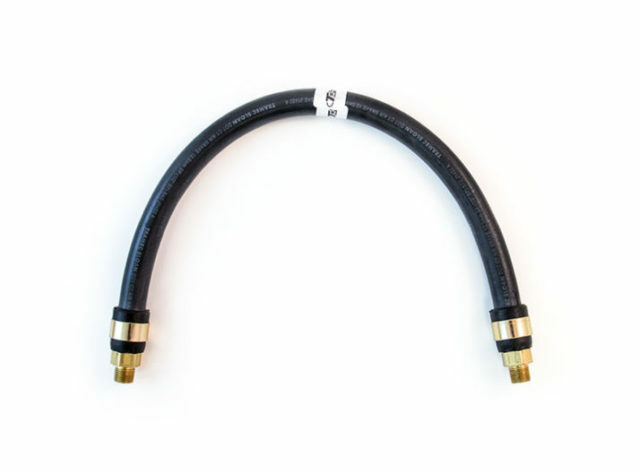 Purchasing this item allowed the time to prepare metal hose for welding to decrease dramatically improving efficiency and saving cost.Mac designed, invented and built his own machines and tooling to manufacture AMFM Braid Bands. 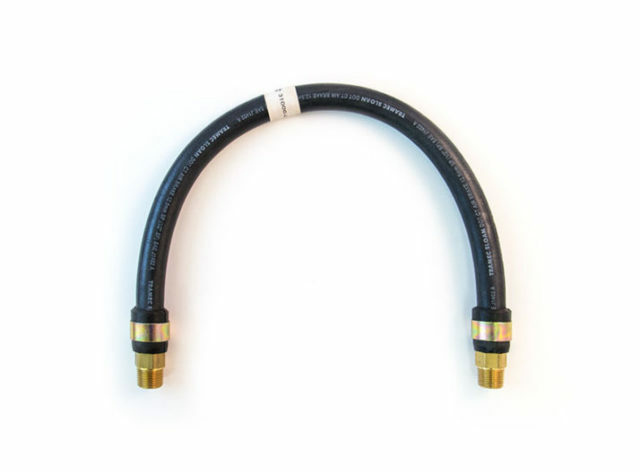 With his thorough understanding of the metal hose industry, Mac developed a sales and service process tailored to the needs of his customers. The values Mac instilled in AMFM remain the foundation of the company today. 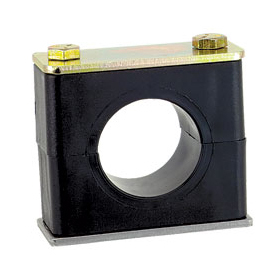 When Eric Edelmann founded the automotive products company that bears his name in Chicago in 1909, his product line consisted of a battery tester and push-pull control cables. 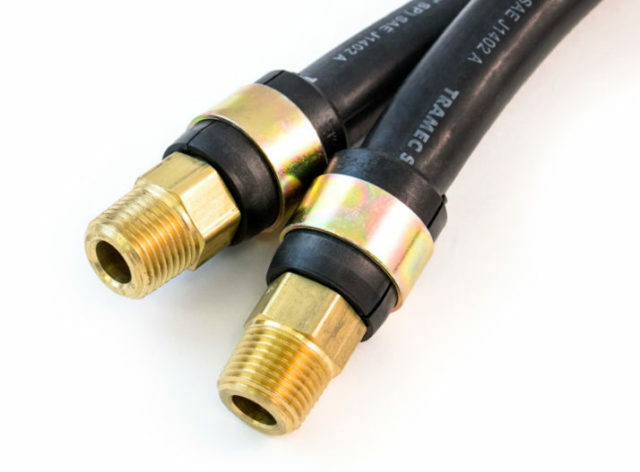 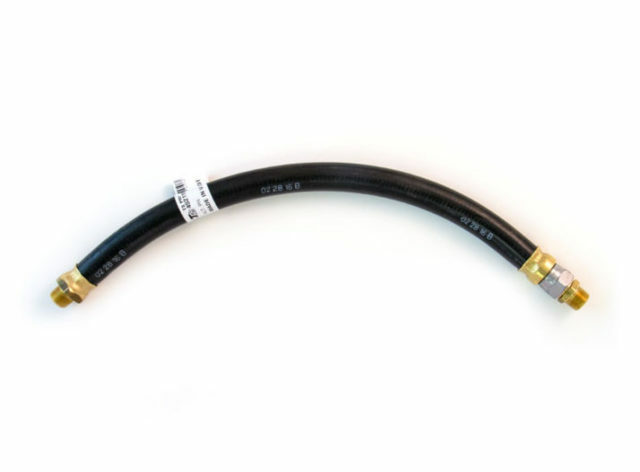 Some years later he began manufacturing anti-freeze testers, automotive brass fittings and general products.In 1959, E. Edelmann & Co. began distributing a line of power steering hose, and in 1960 took over production of the hose. 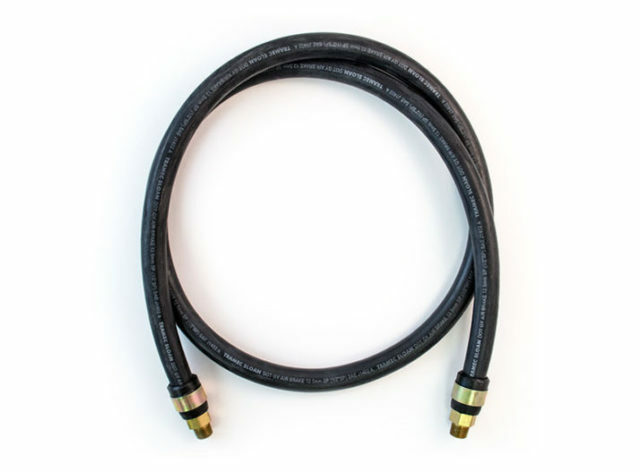 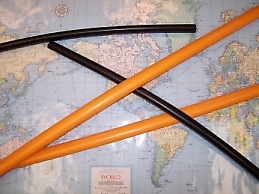 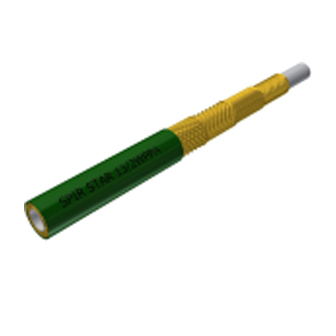 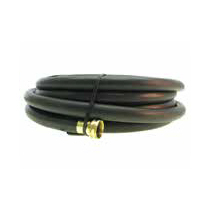 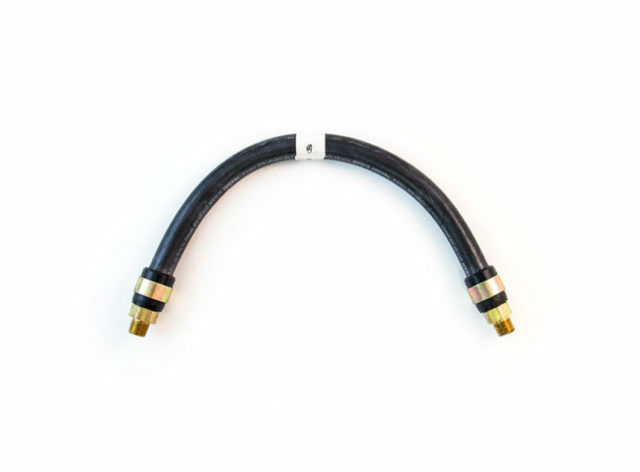 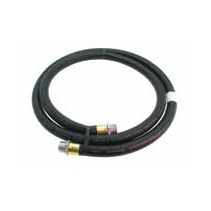 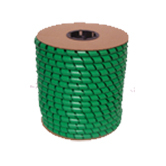 The company initially manufactured power steering hose for 25 vehicles. 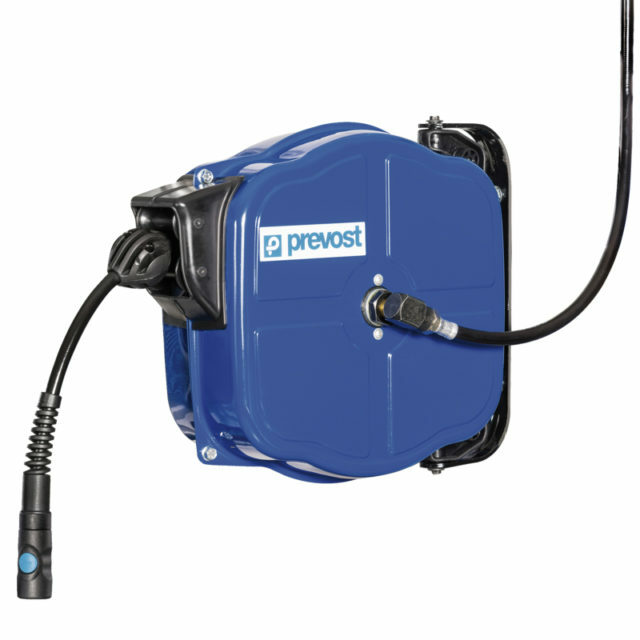 Created in 1978 in Annecy-le-Vieux, Prevost is now developing its international presence and has numerous clients across Europe, in the US and in over 80 other countries.With a catalogue of over 7,000 products, the company has subsidiaries in the UK, Germany, the US and China.For the last 40 years, we have been listening to your problems to stay in touch with your needs. 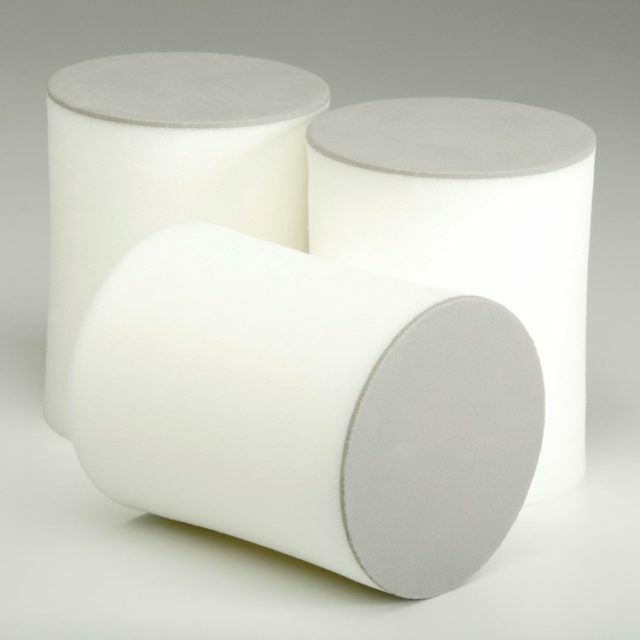 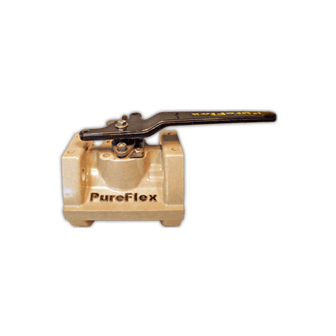 PureFlex is a world-leading manufacturer of high performance Fluoropolymer and Composite products and technologies. 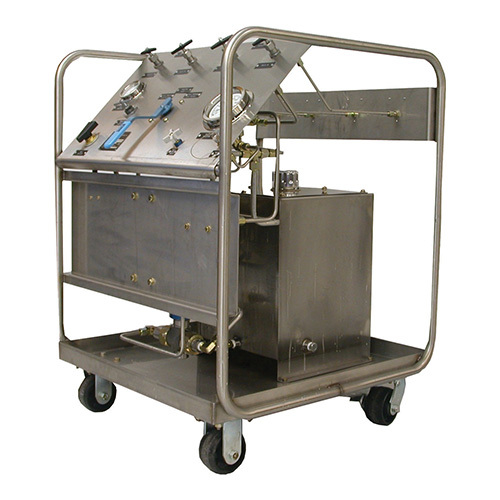 We specialize in the manufacture of fluid handling and sealing products specifically designed for chemical, pharmaceutical, and ultra-pure related industries.Since 1994, we have earned a reputation for creating flow solutions that are truly different. 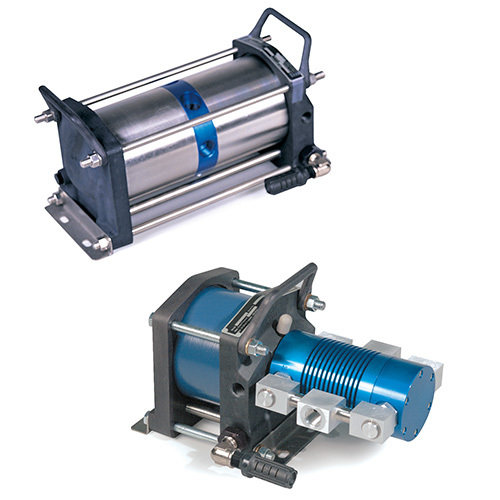 We create innovations—products that serve demanding applications better than before. 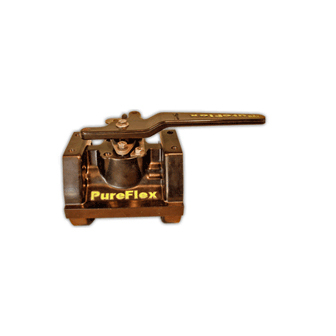 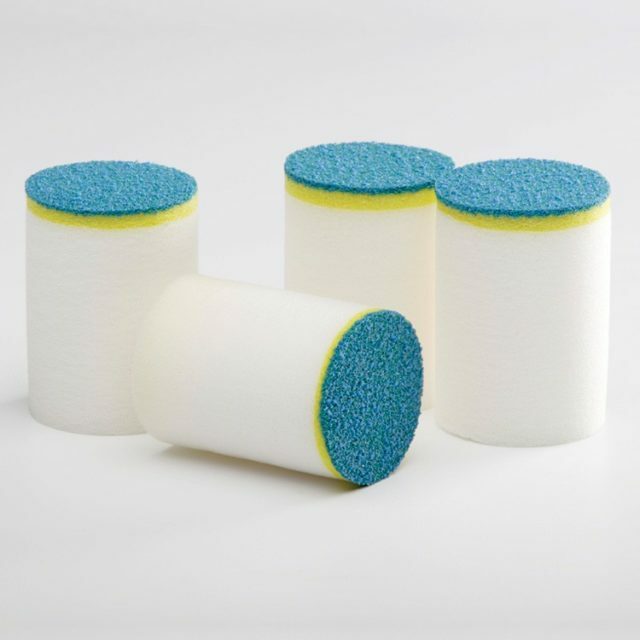 PureFlex excels in its service, is aggressive in its technology, bold in its vision, and responsible in its regard for safe and dependable products. 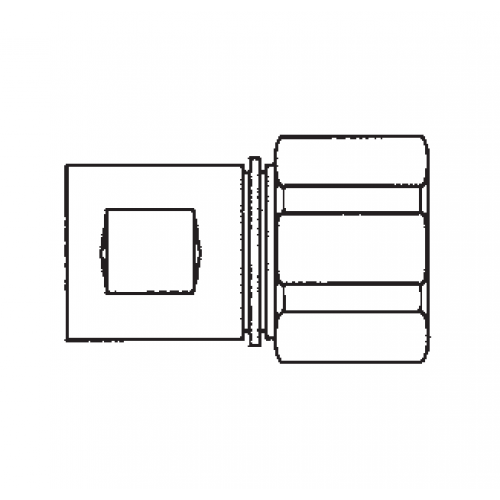 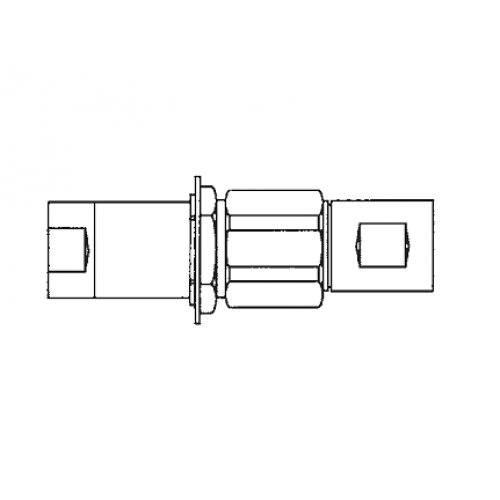 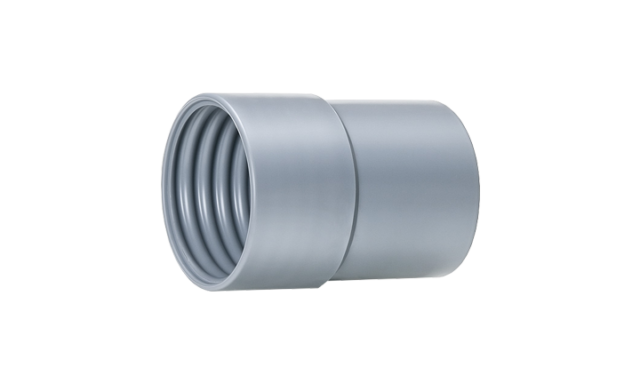 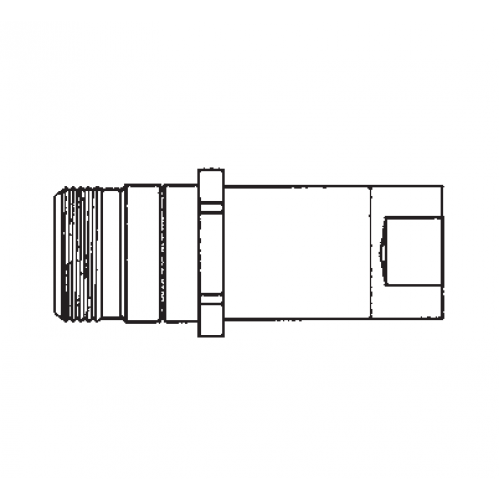 Since 1969, SECO SEALS has been the standard for 37 degree flared tube fitting seals for every application. 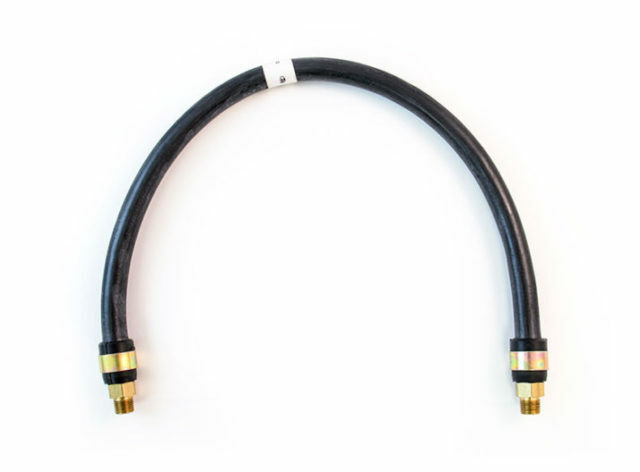 Some of the industries that rely on our products to solve their sealing issues are aerospace, petroleum and racing to name a few. 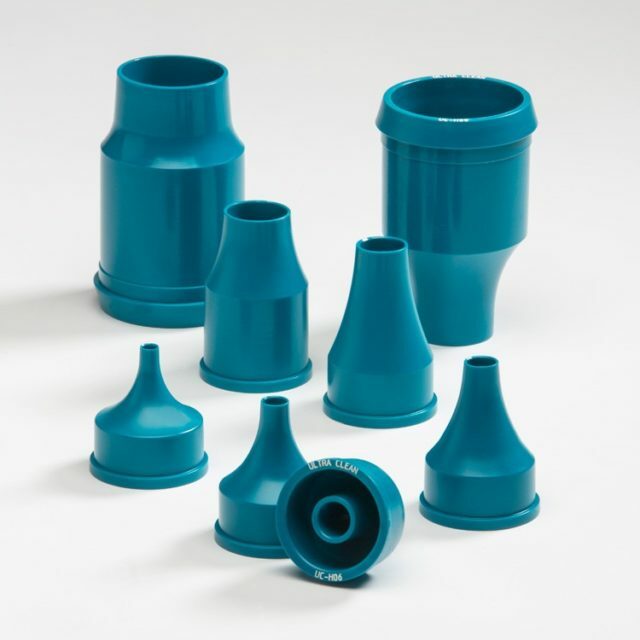 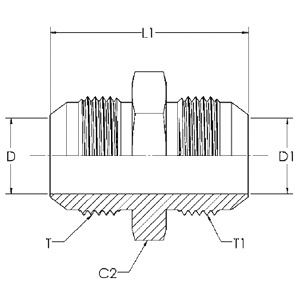 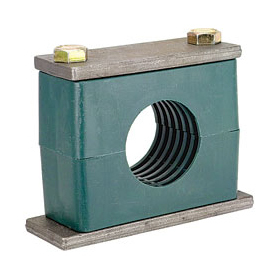 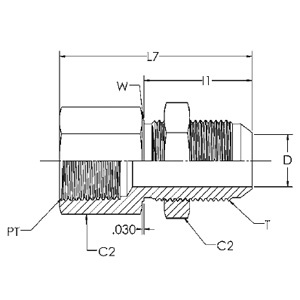 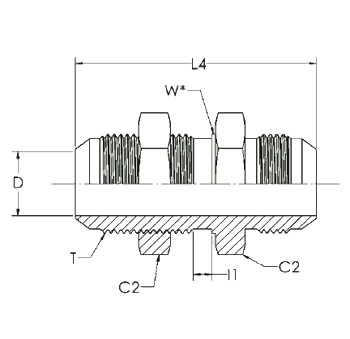 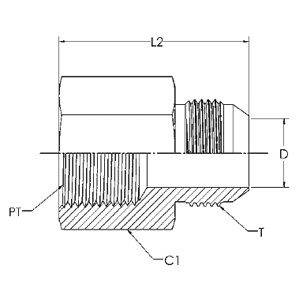 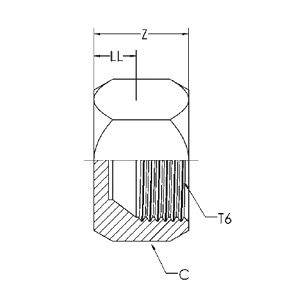 SECO SEALS continues to bring innovation to fluid connections with reliability and affordability.In 1969, Jim Scott Sr. (instrumental in the development of the conical seal in the 1950’s) founded SECO SEALS to fill the need for conical seals for 37 degree flared tube fittings. 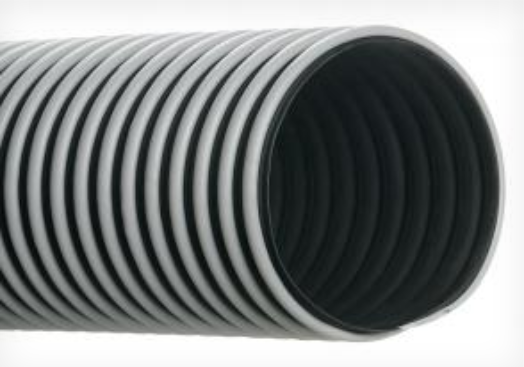 Since then, SECO SEALS continues to grow and provides new solutions to the age old problem of leaks. 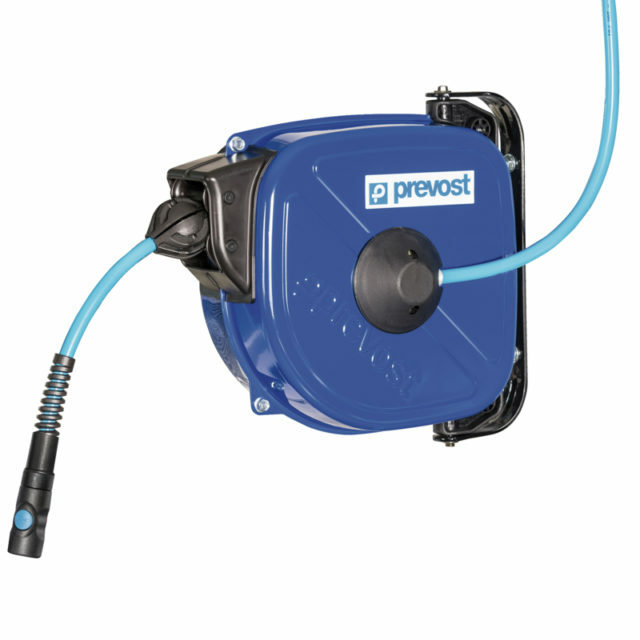 Our goal has always been to prevent leaks in any environment. 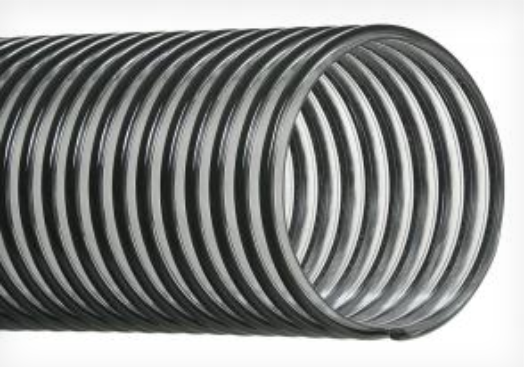 From race cars to aerospace, Seco Seals has developed solutions that became the industry standard.In our effort to remain on the leading edge of our industry, SECO SEALS has expanded its capabilities for “build to print” sealing solutions for extreme pressure and temperature applications made of the highest quality metal foils between .002″ and .015″. 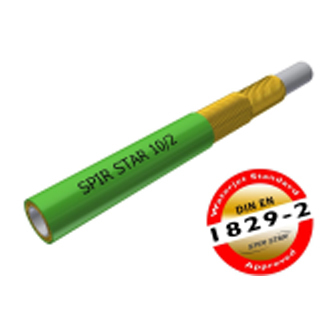 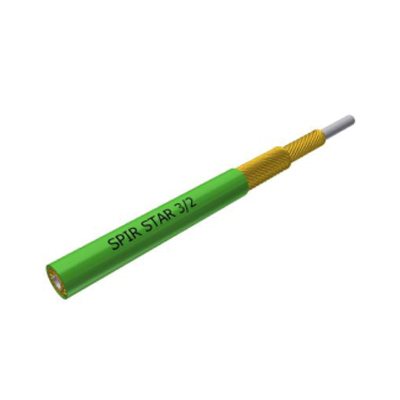 SPIR STAR® Druckschläuche AG is a specialist in the production of high-pressure hoses with a spiralized support made of high-tensile steel wires for use in a pressure range of 400 to 3,200 bar. At SSP, our goal is to be the installer’s supplier of choice. 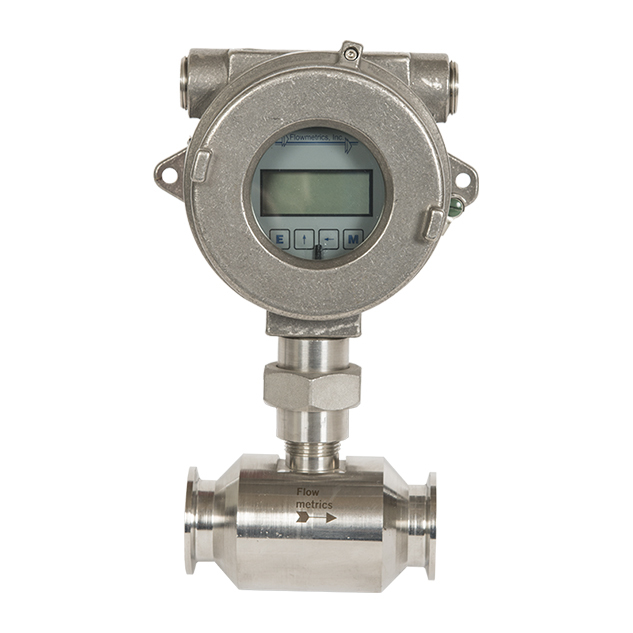 Everyone knows we start with manufacturing instrumentation products that meet all industry standards while significantly improving the user installation and replacement process. 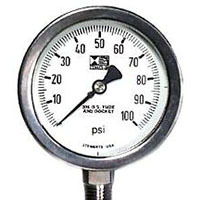 But it takes much more than this. 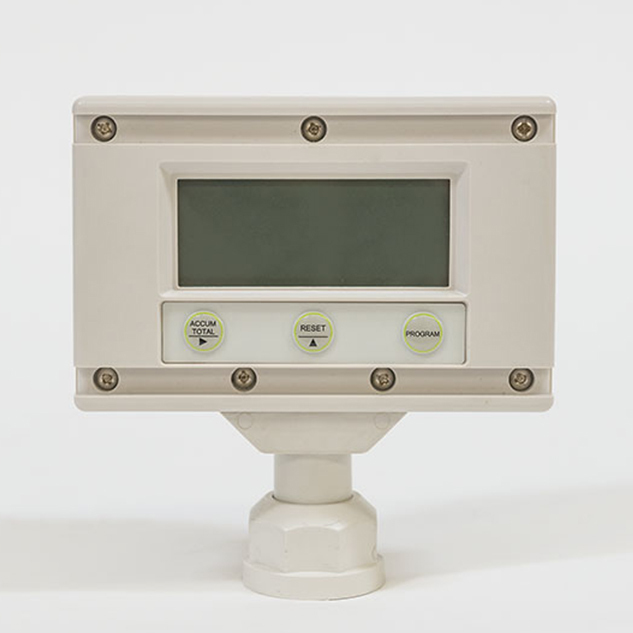 It takes speed and responsiveness, individual initiative and accountability, and integrity and partnerships with our customers and associates. 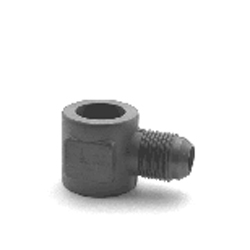 Stewarts-USA, LLC was formed in 2003 as the North and South American distribution and marketing arm with Stewart-Buchanan Gauges, Ltd. Stewarts-USA is positioned to respond quickly to customers’ needs. 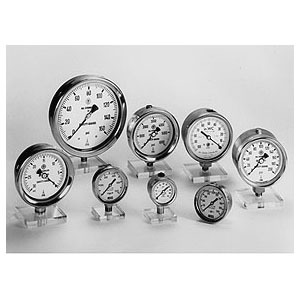 To recognize and exceed customer expectations. 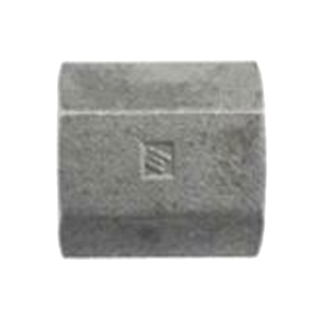 To build a strong ownership culture and to create sustainable employment and the opportunity for each employee to contribute and succeed. 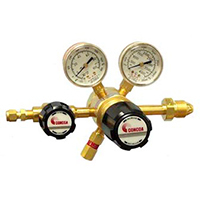 We take pride in continuously improving our processes, products and services. 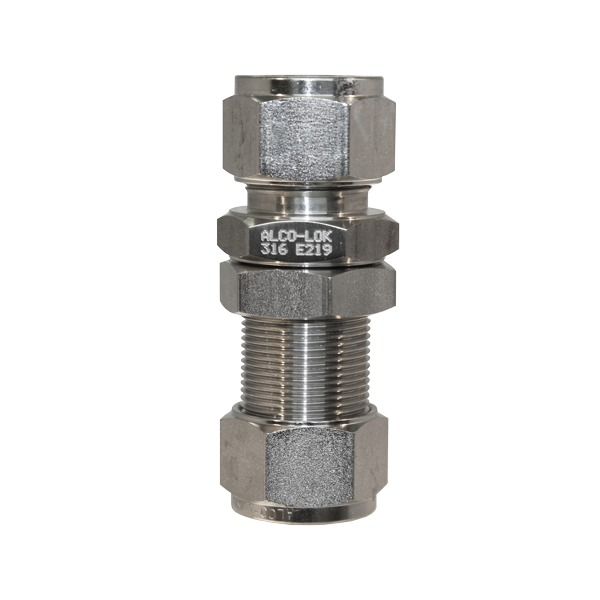 Tramec Sloan owes it’s history to entrepreneurial Americans who believed that manufacturing quality products with great service provides an exceptional value to the industry. Everyday, the people of Tramec Sloan live by these beliefs established by our founders.The combination of Tramec’s and Crawford Machine Incorporated’s standard position OEM products added to Sloan Transportation’s industry-leading aftermarket position, has created a powerhouse commercial vehicle product provider. 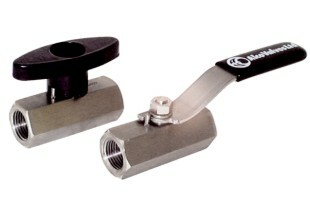 Tramec Sloan’s facilities in Iola, Kansas; Galion, Ohio and Holland, Michigan continue to provide the best American made products to the industries we serve everyday.We appreciate the partnerships that we’ve developed over the years with our customers and end users and look forward to working with you all while we write the next chapter in the story of Tramec Sloan together. 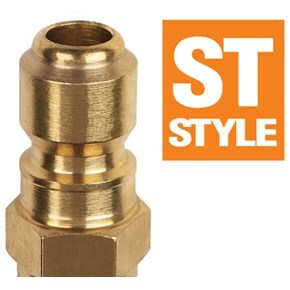 ZSI-Foster products have earned a well-deserved reputation for unparalleled quality and effectiveness. 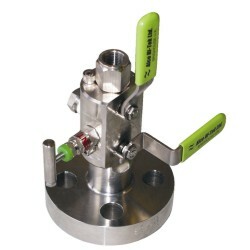 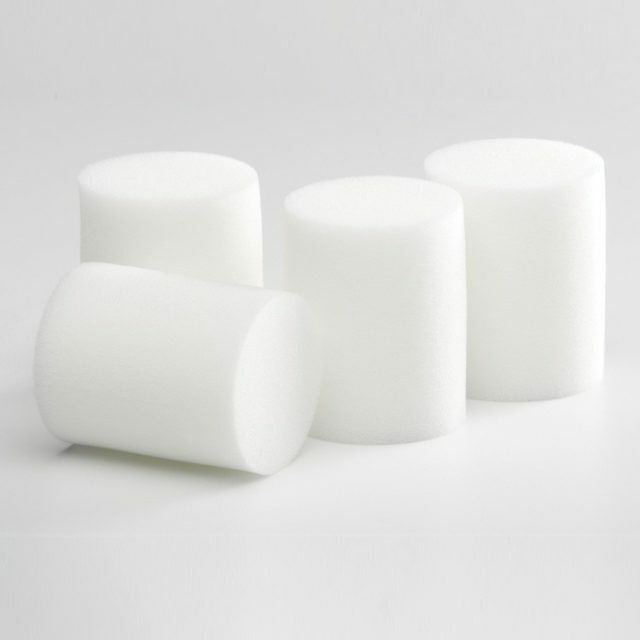 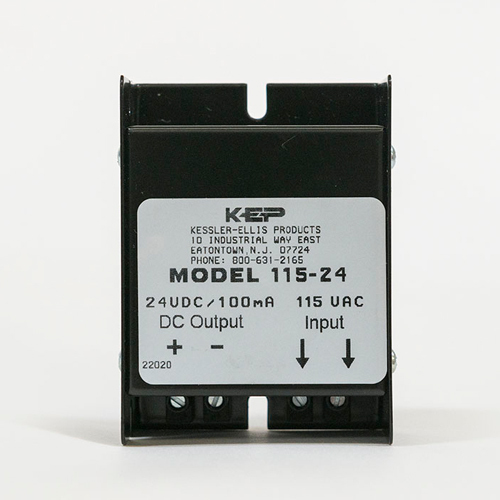 As industry develops new needs, ZSI-Foster can and will respond with superior quality products. 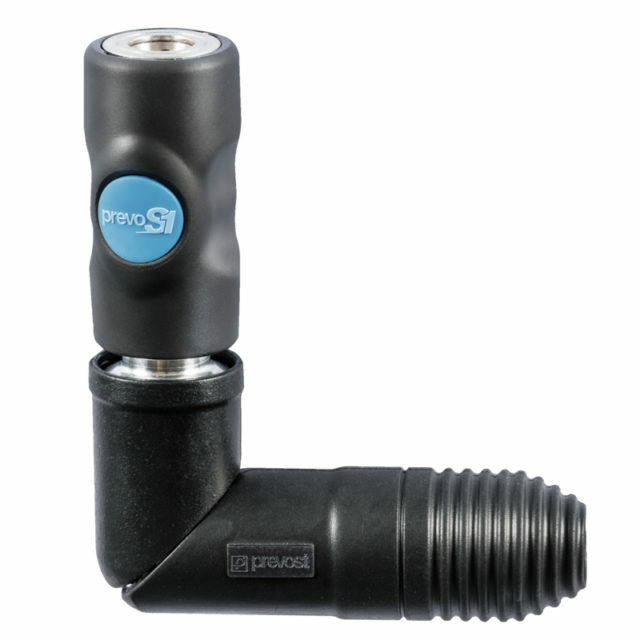 Today and in the future, our commitment remains the same: Produce quality products to solve problems and save money.